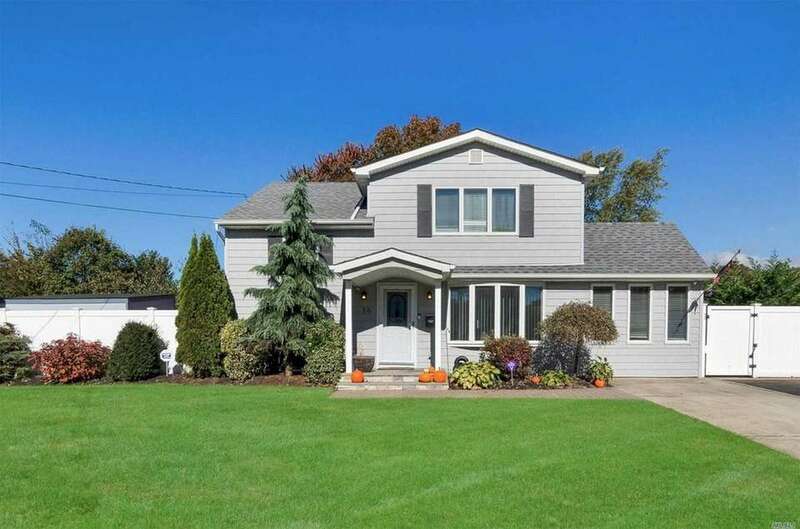 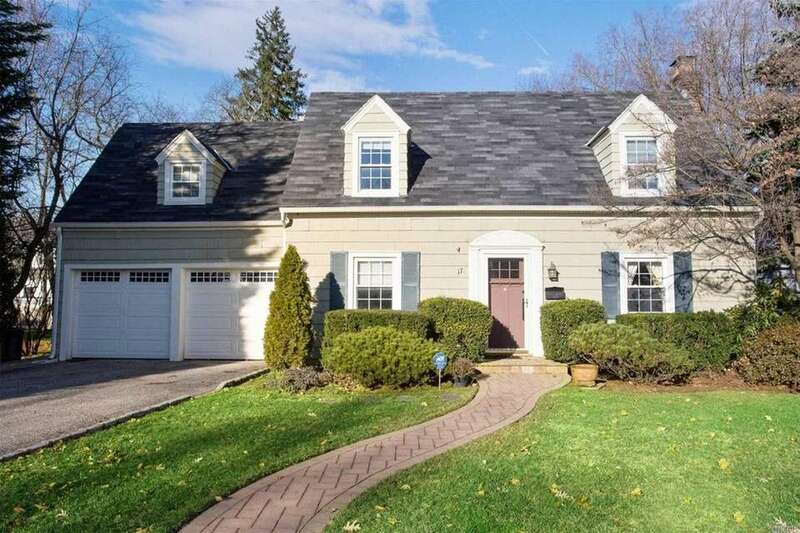 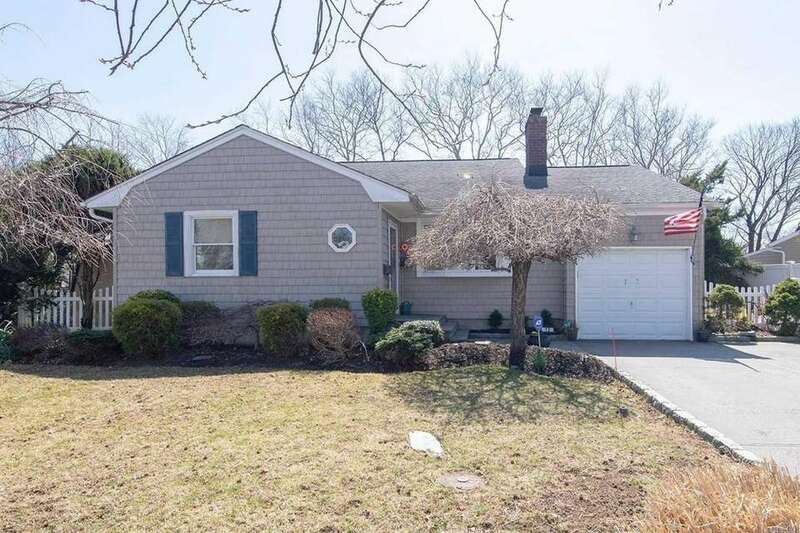 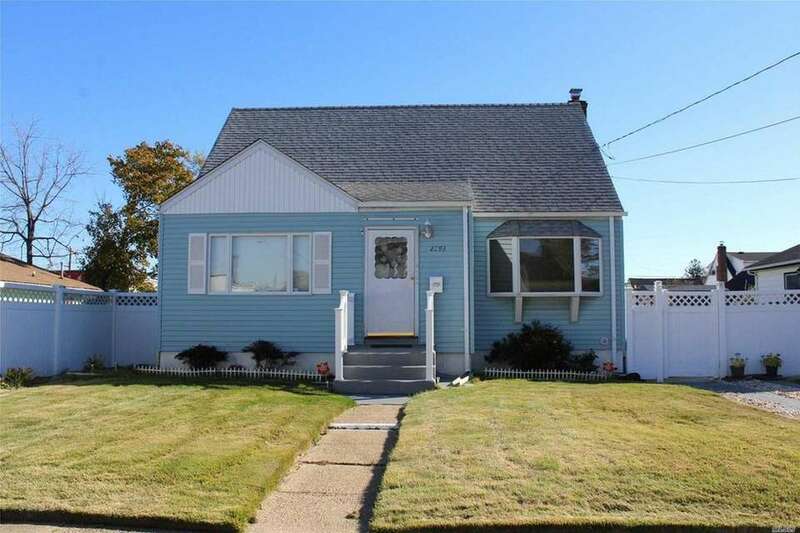 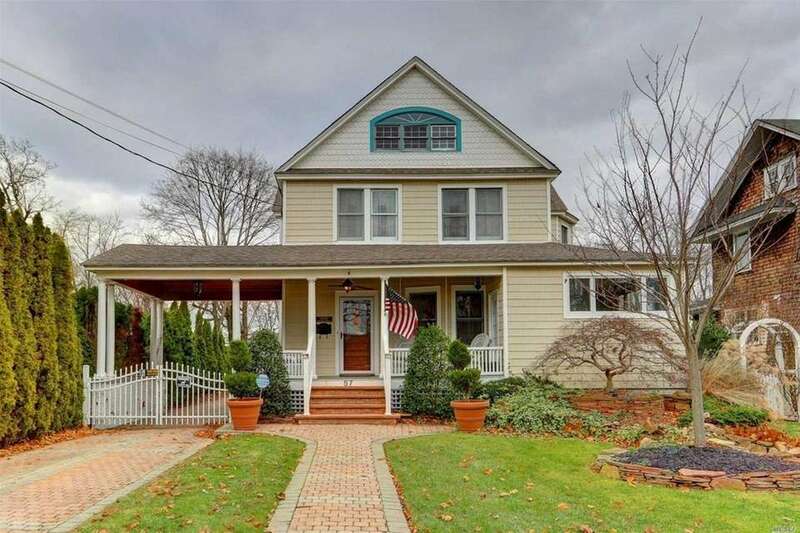 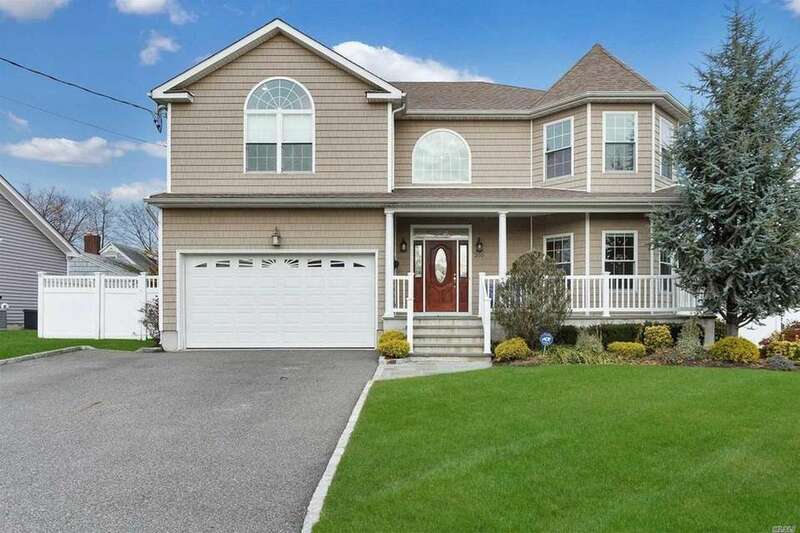 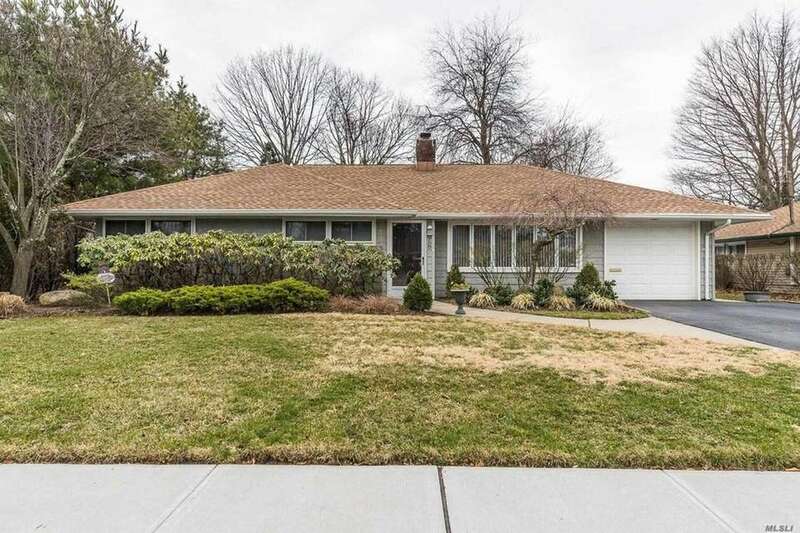 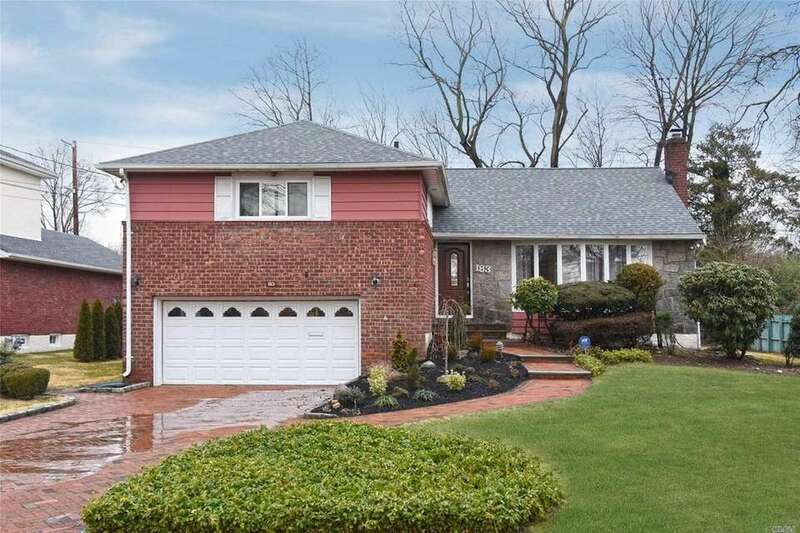 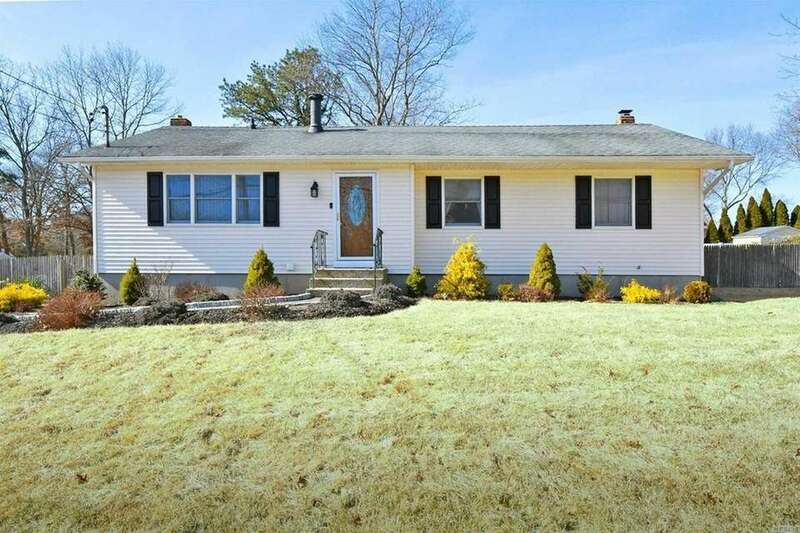 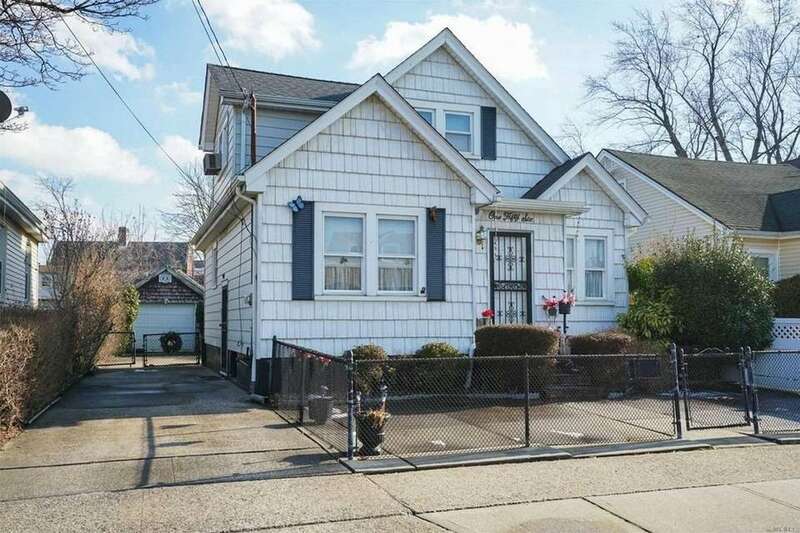 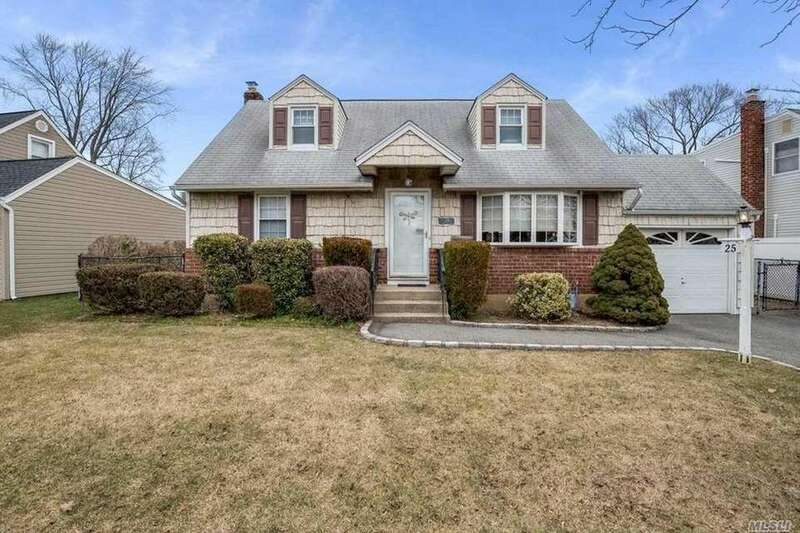 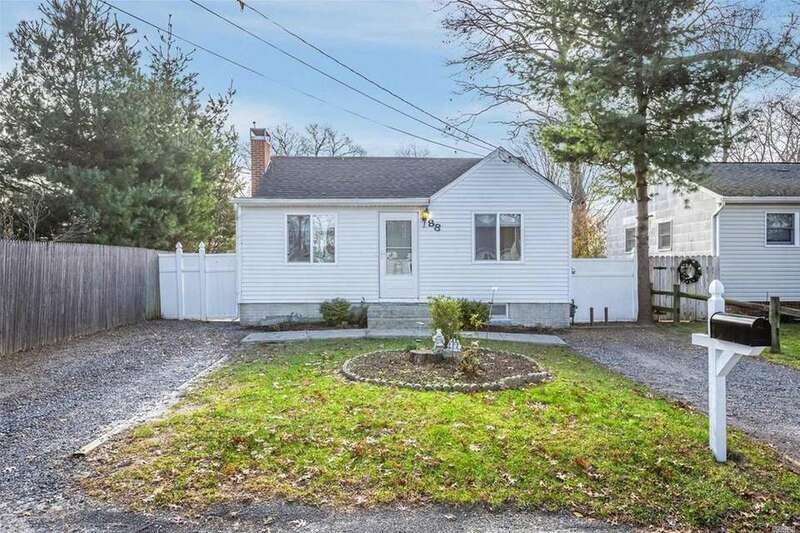 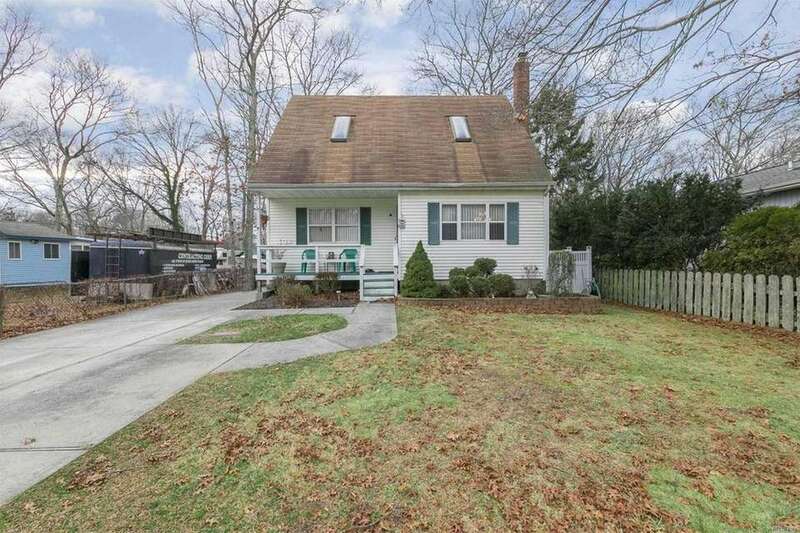 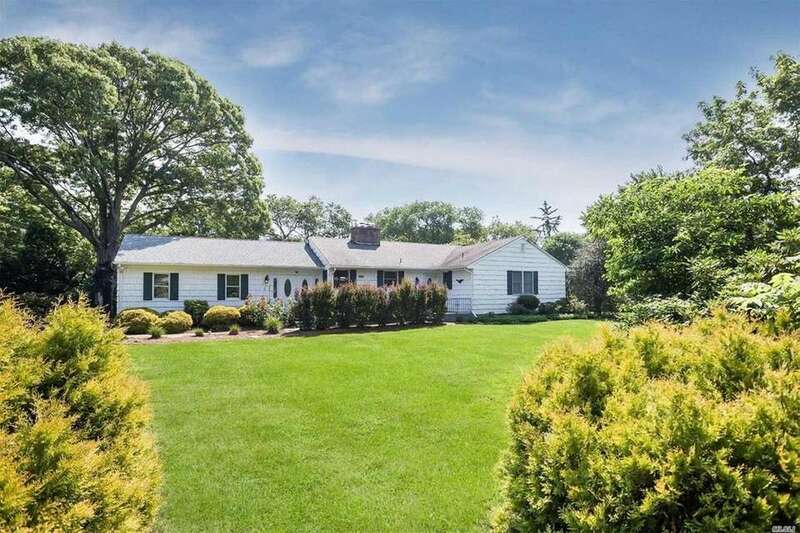 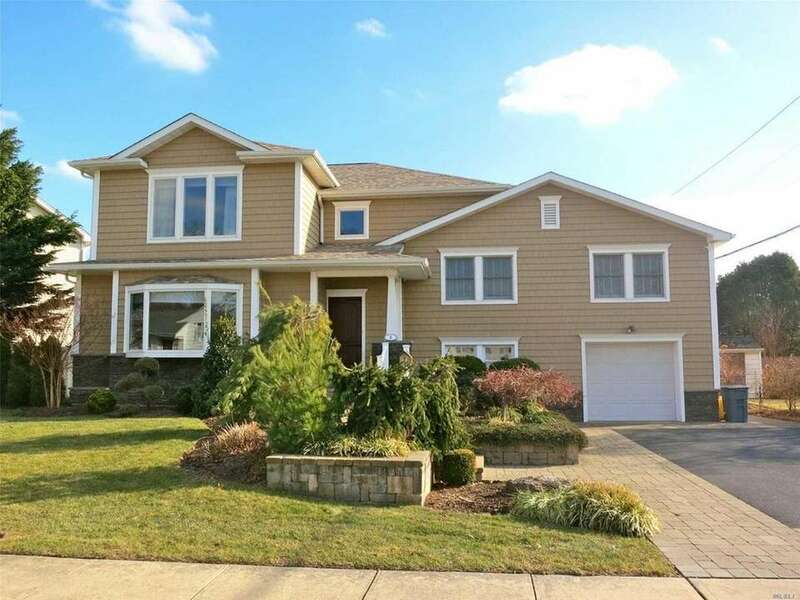 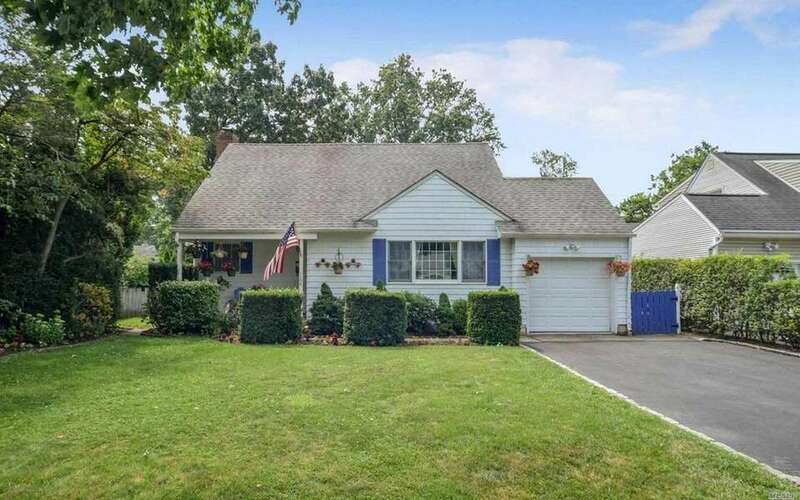 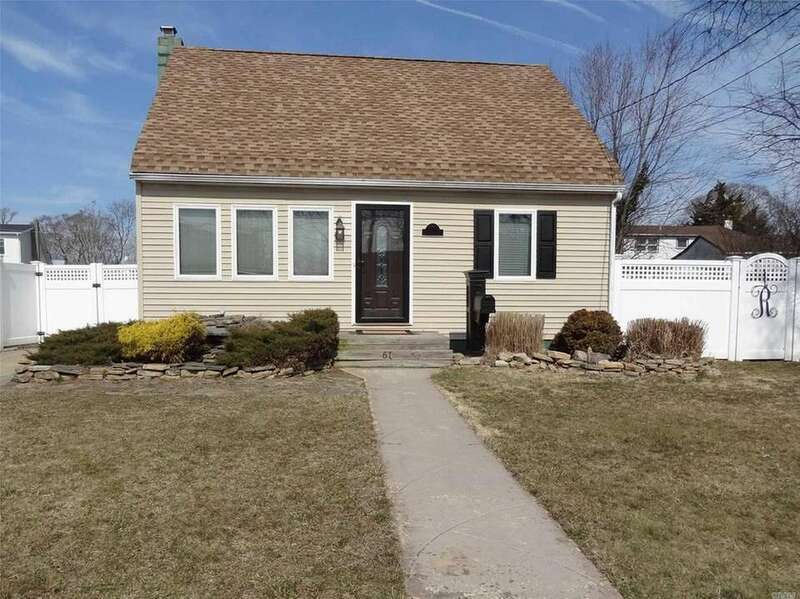 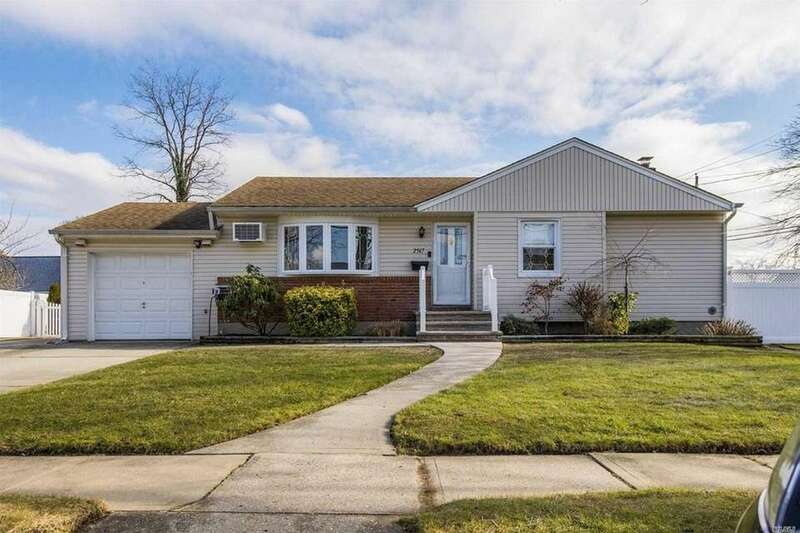 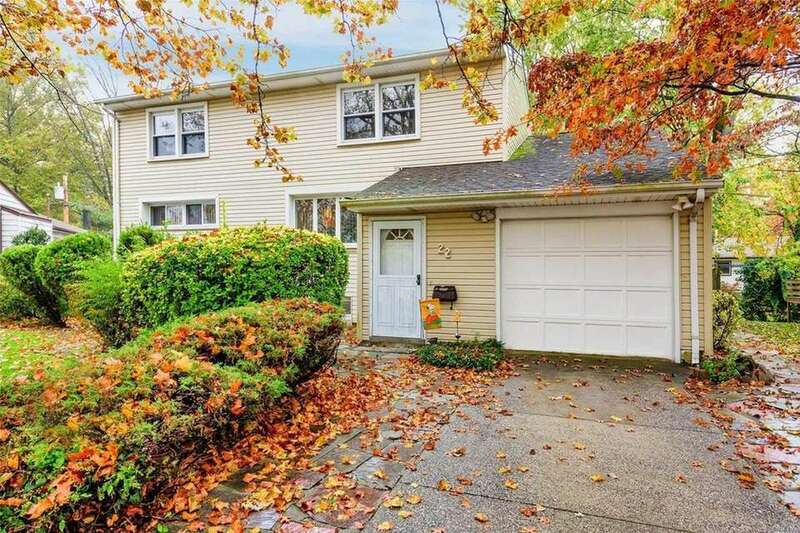 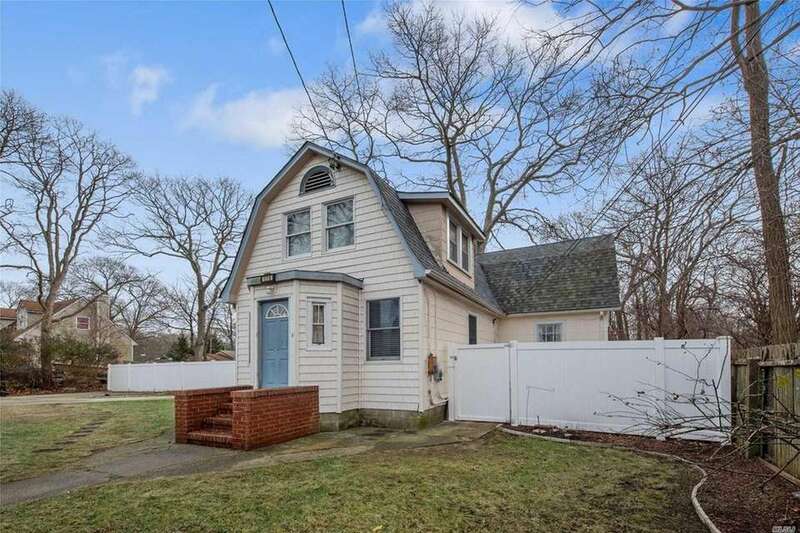 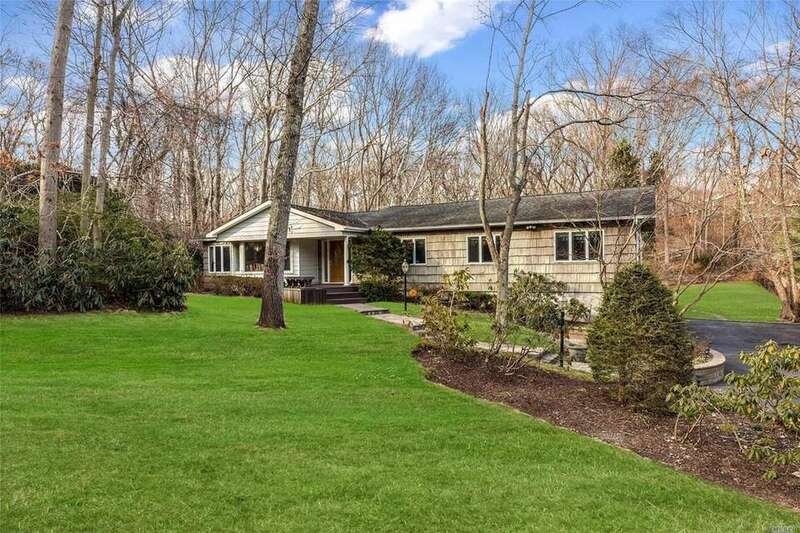 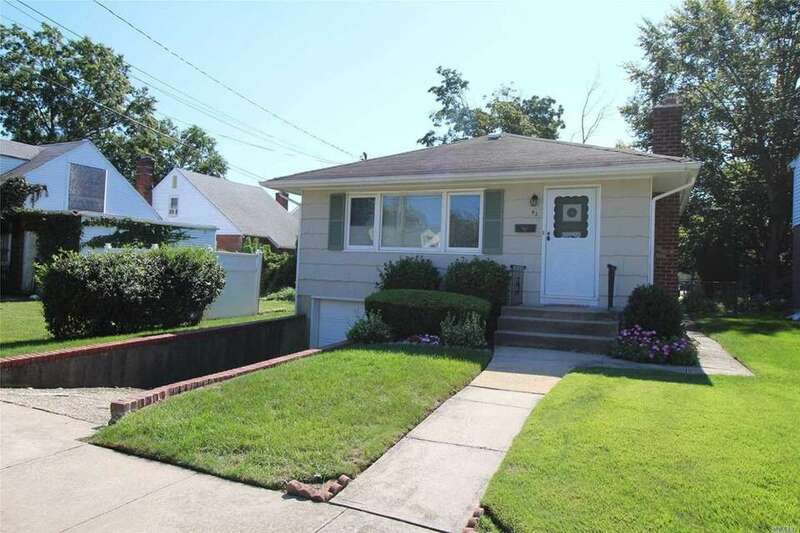 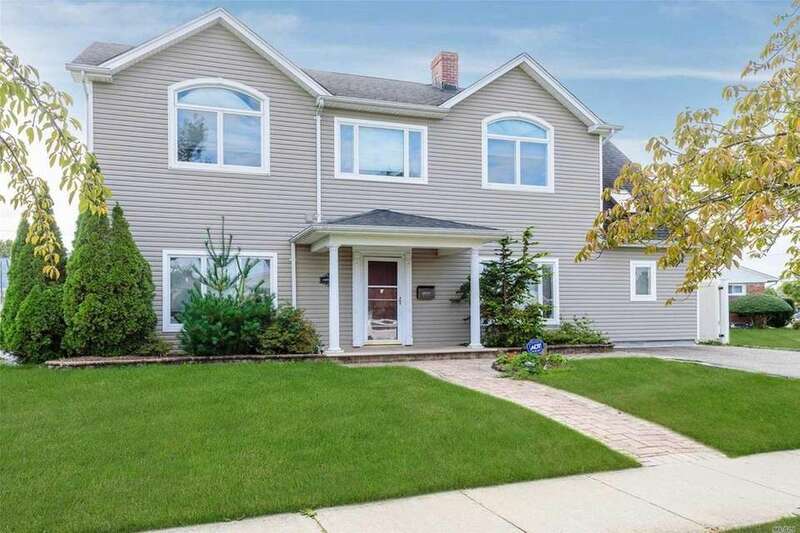 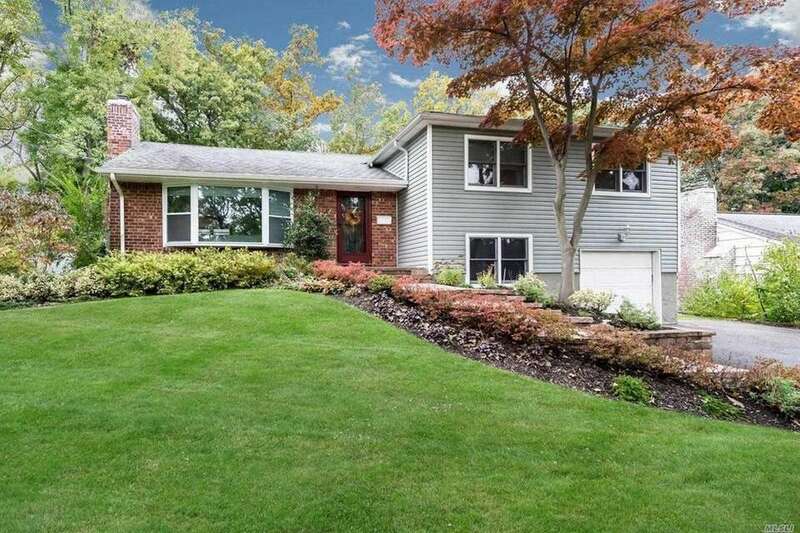 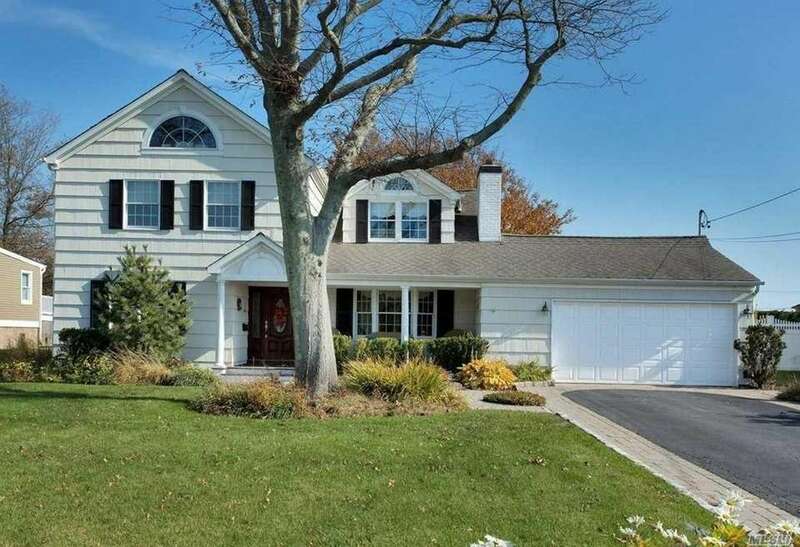 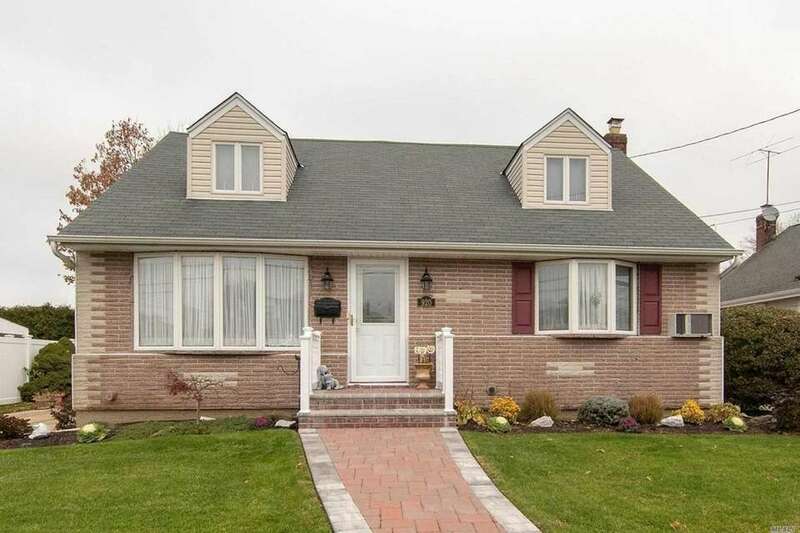 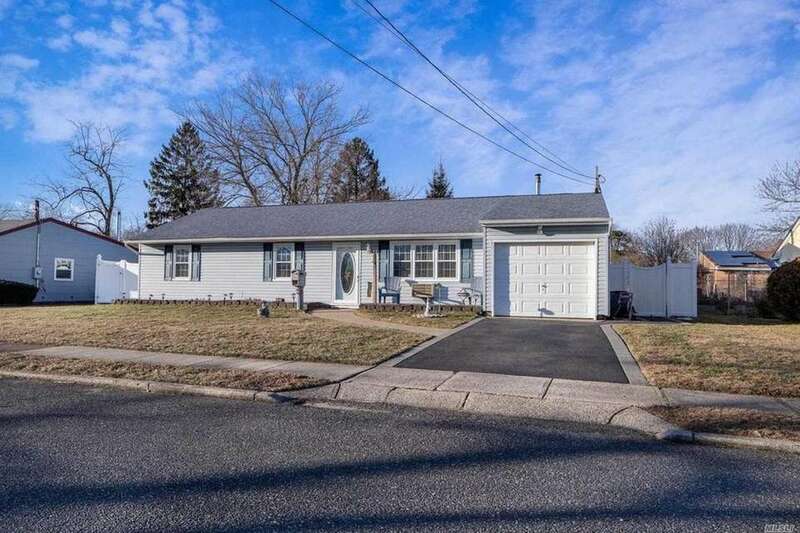 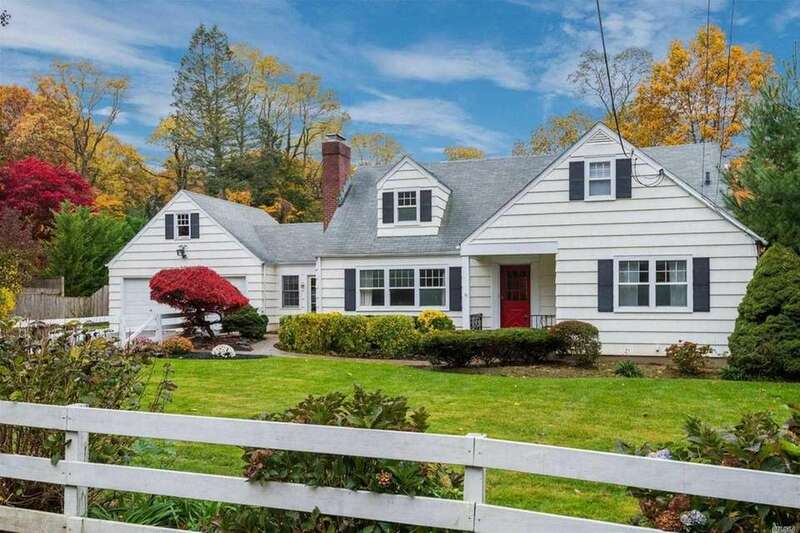 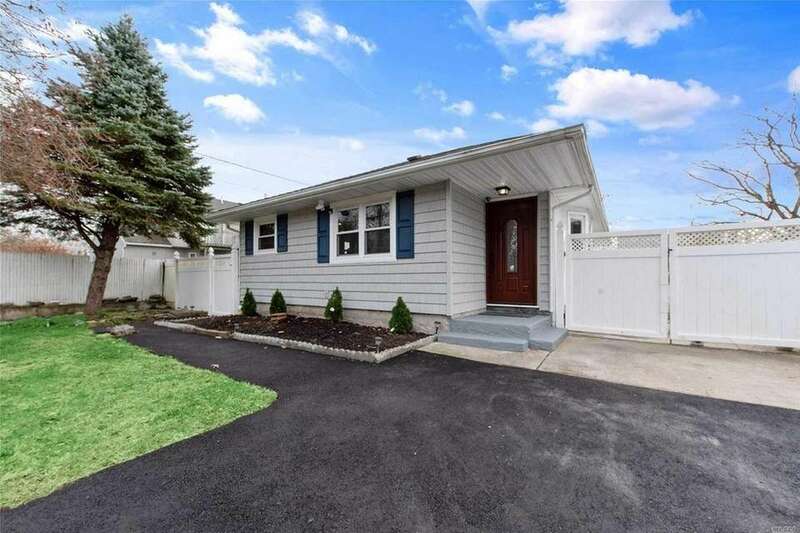 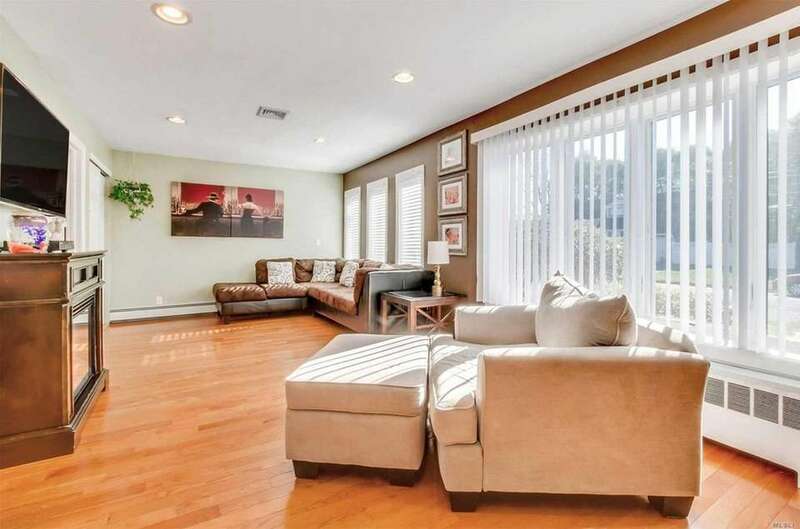 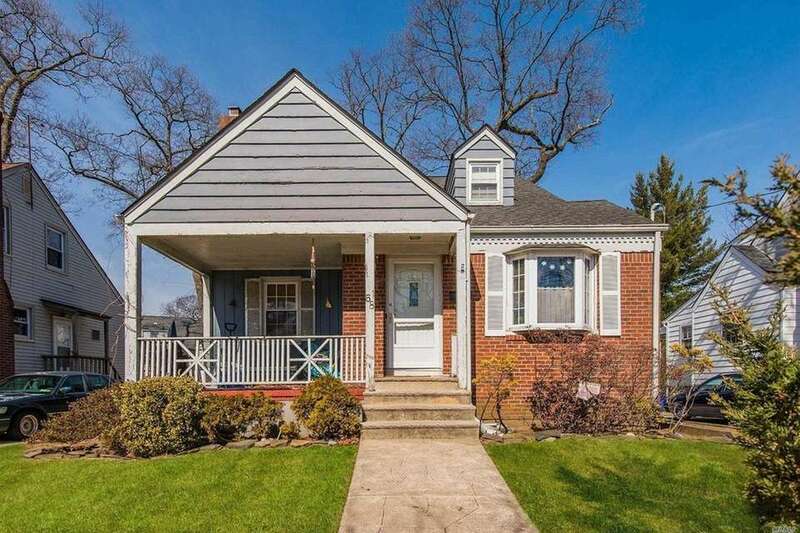 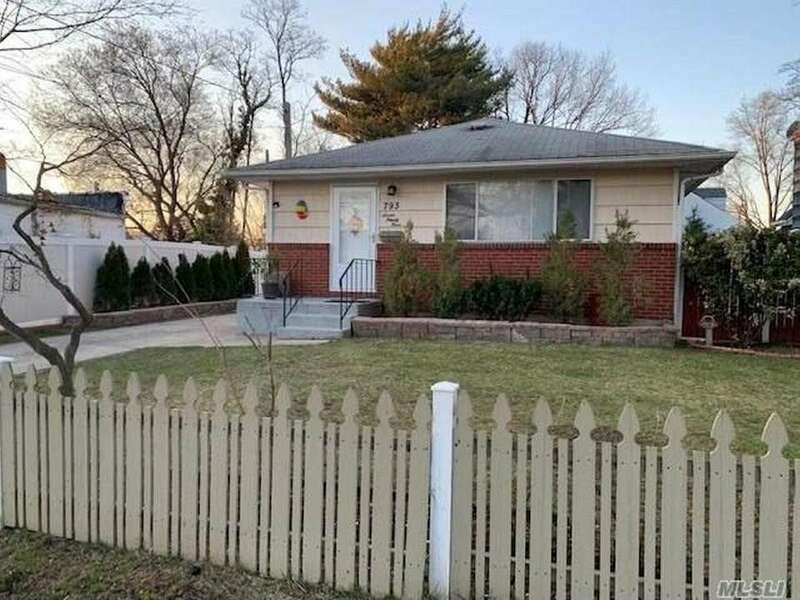 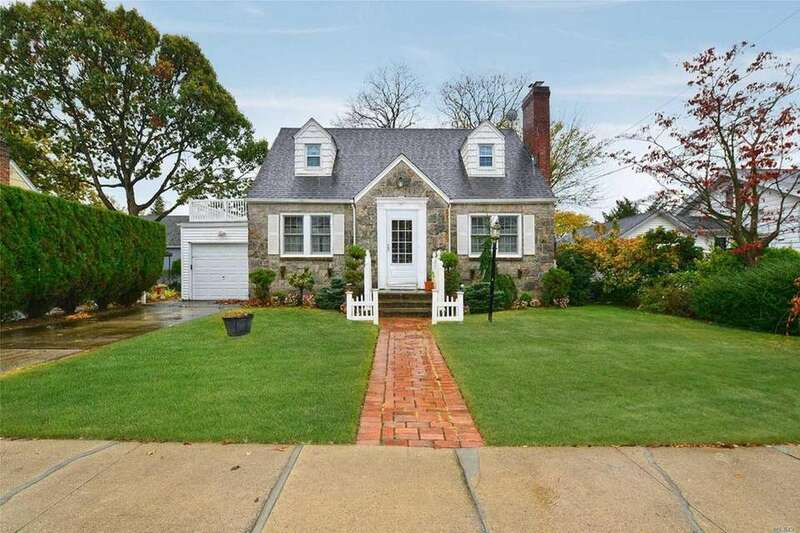 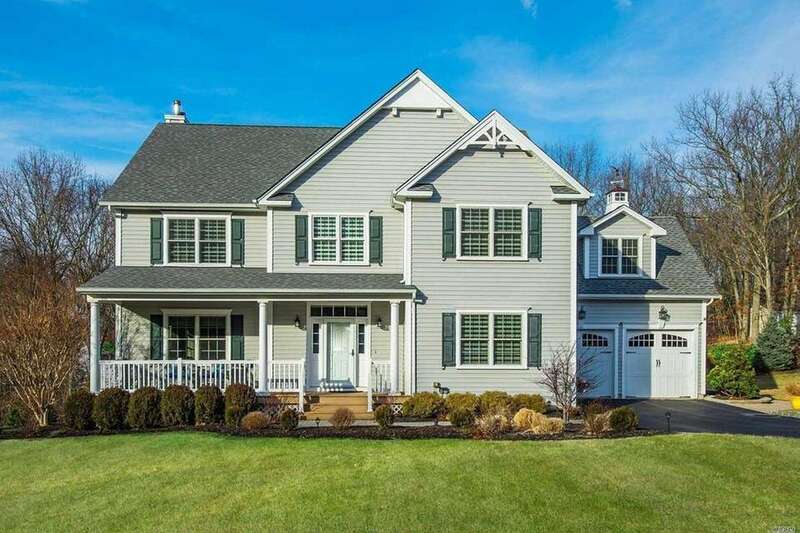 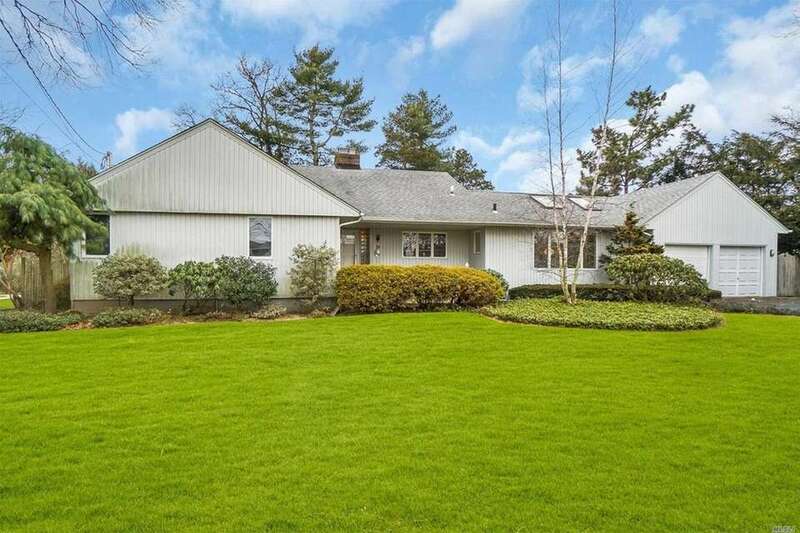 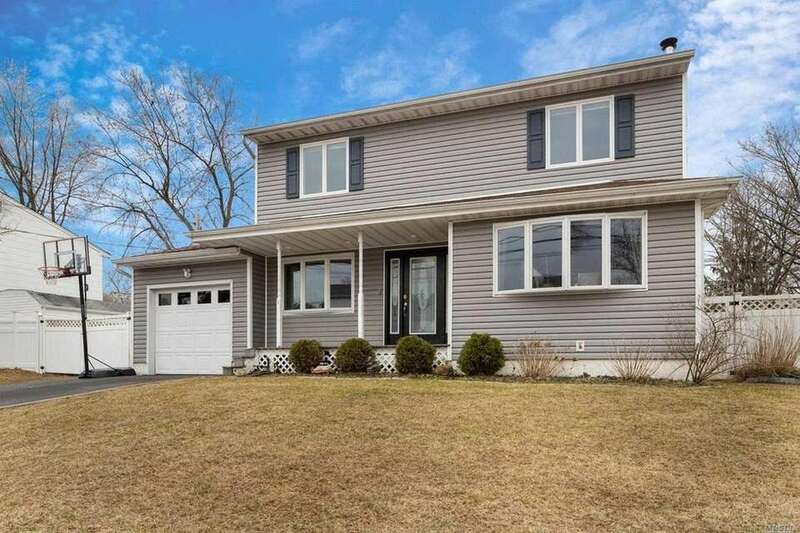 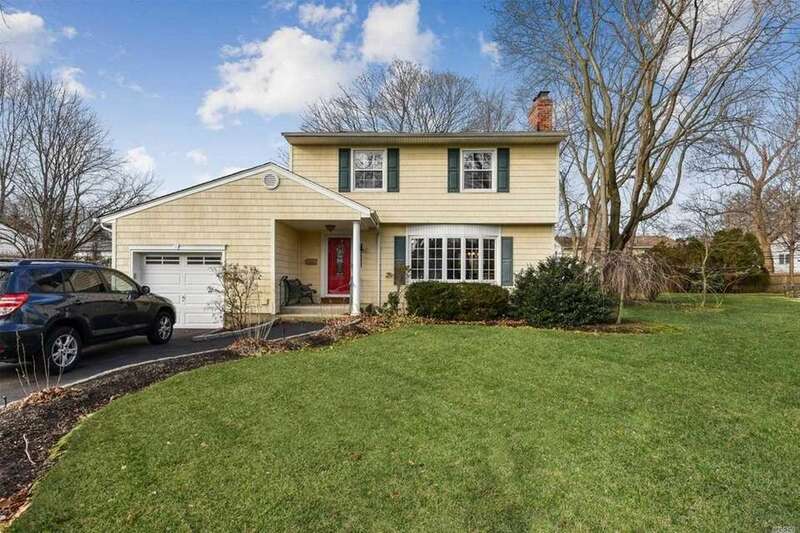 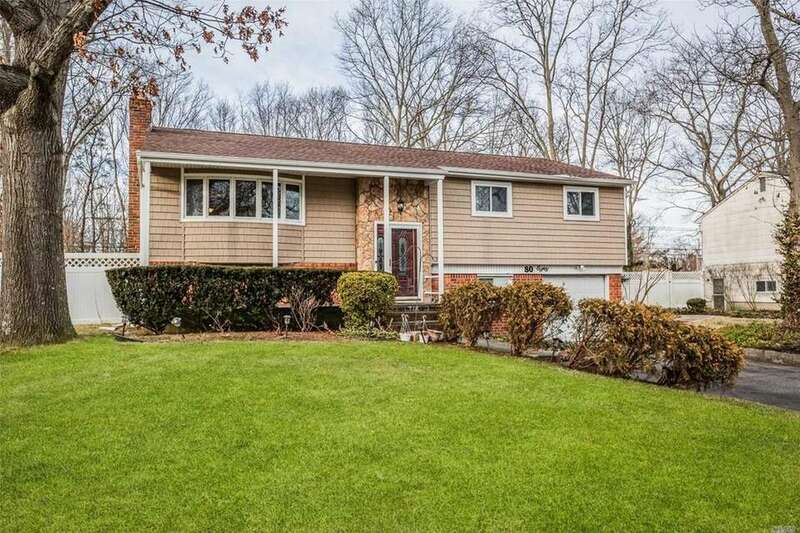 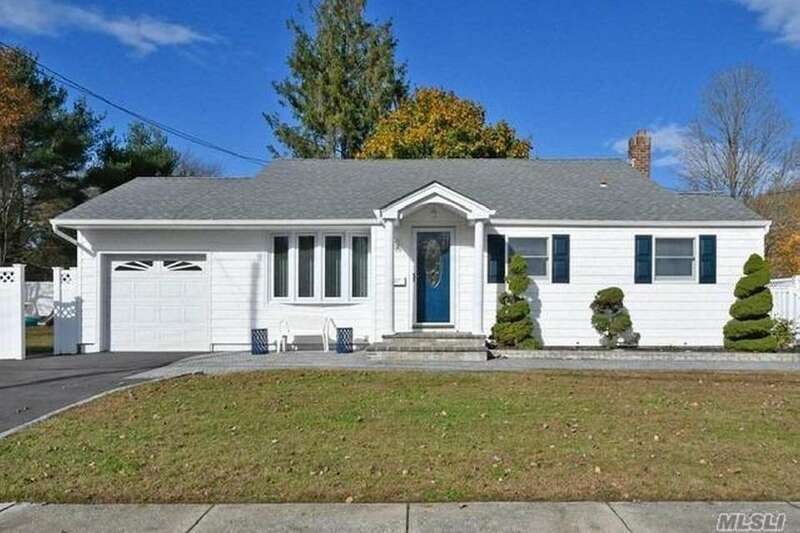 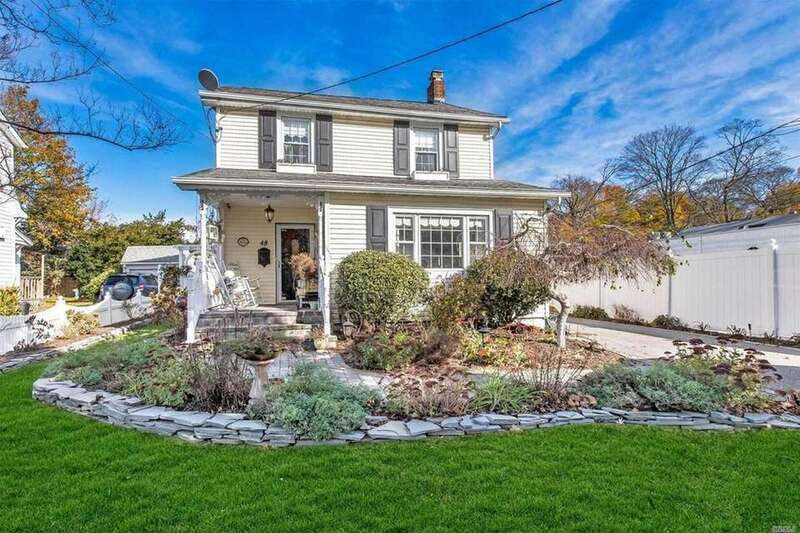 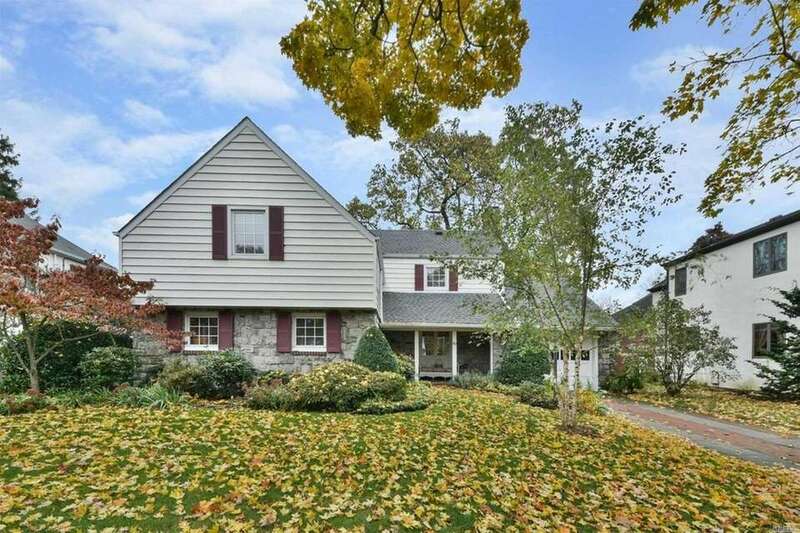 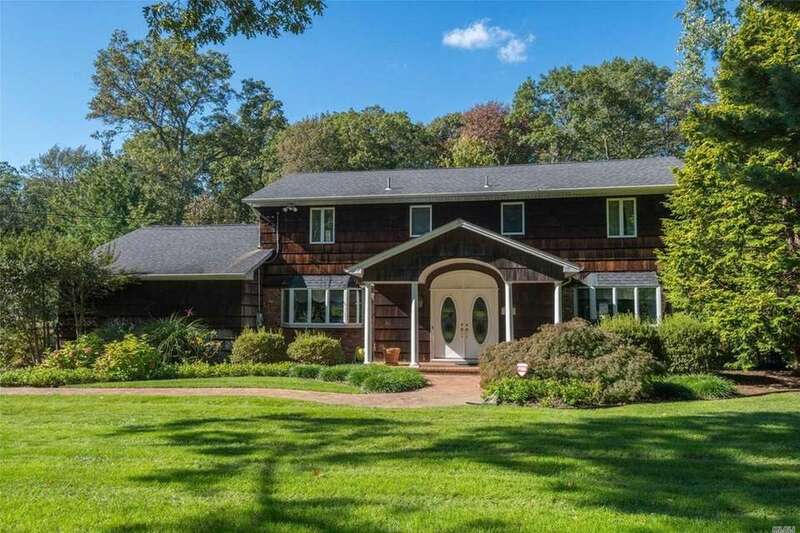 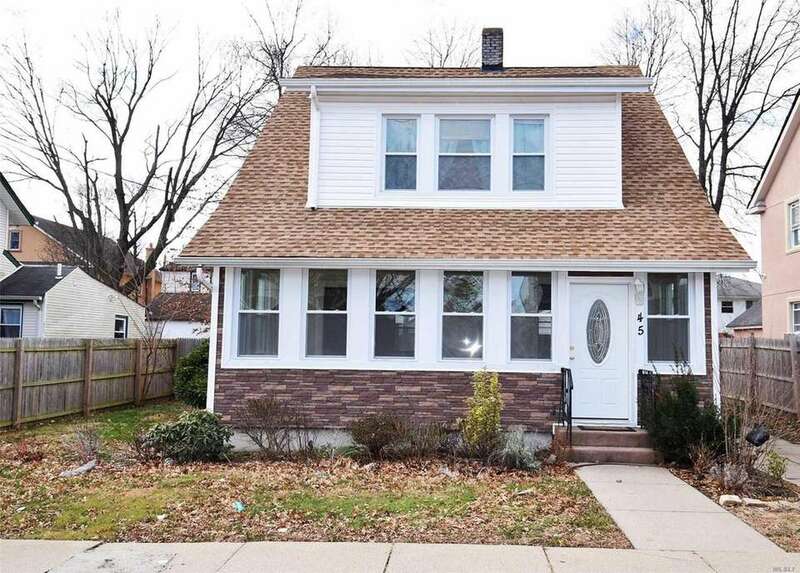 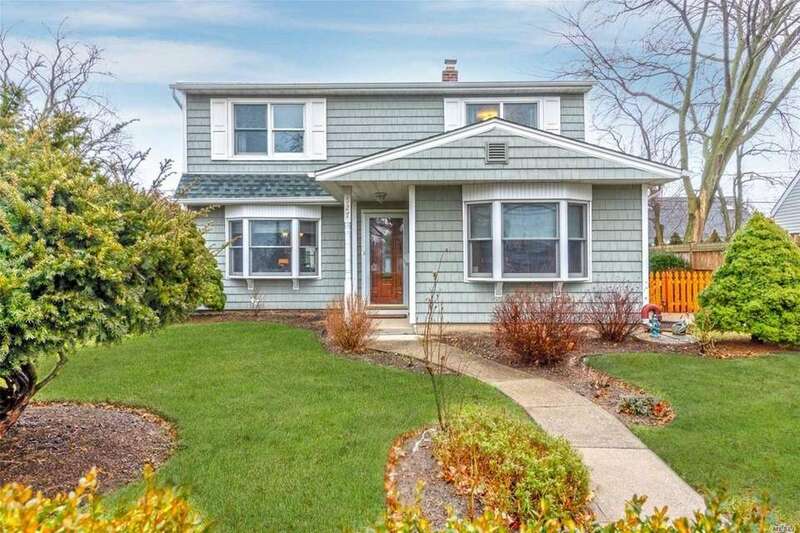 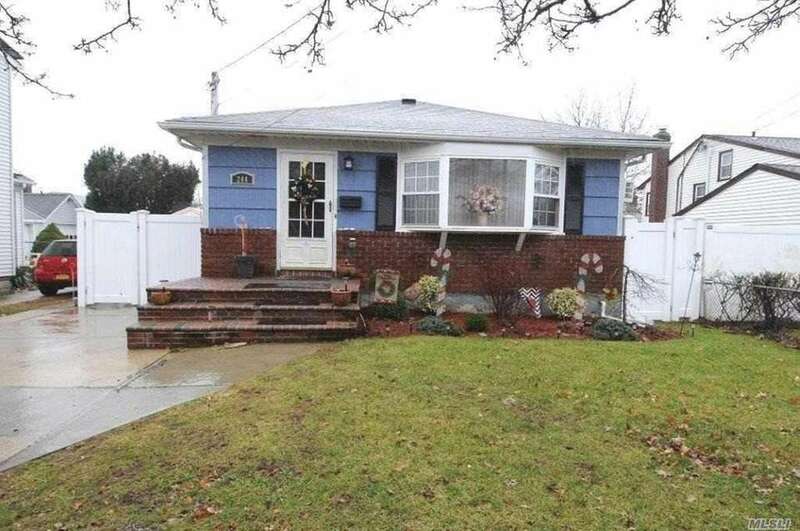 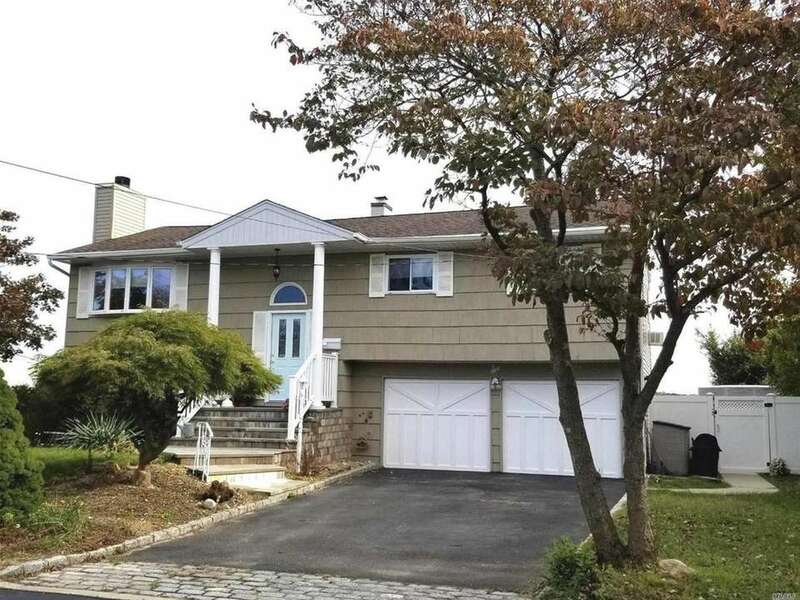 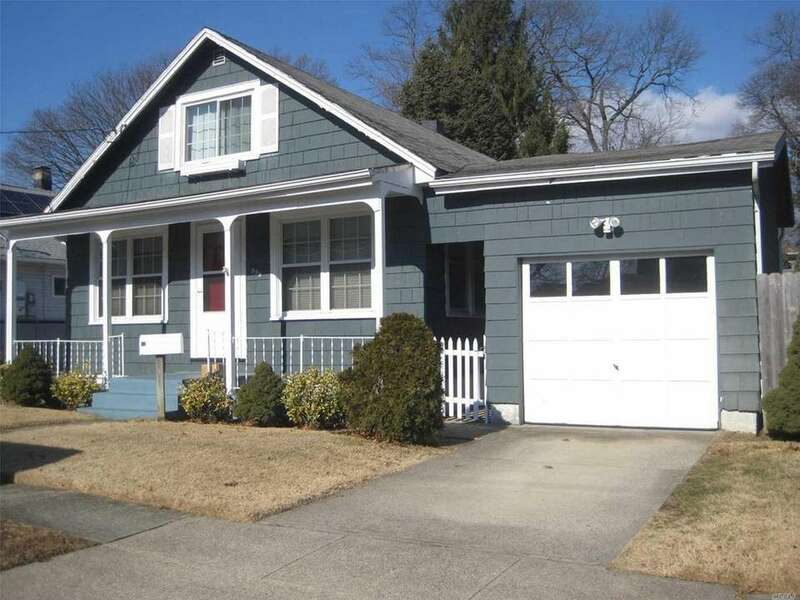 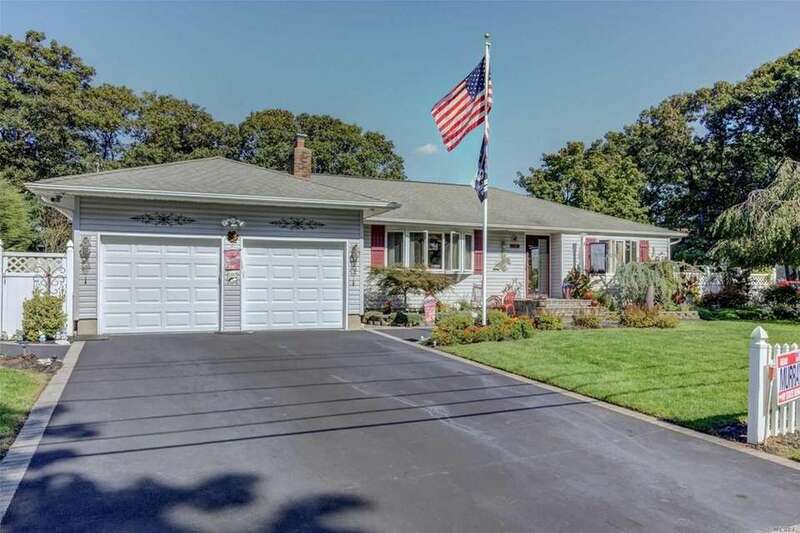 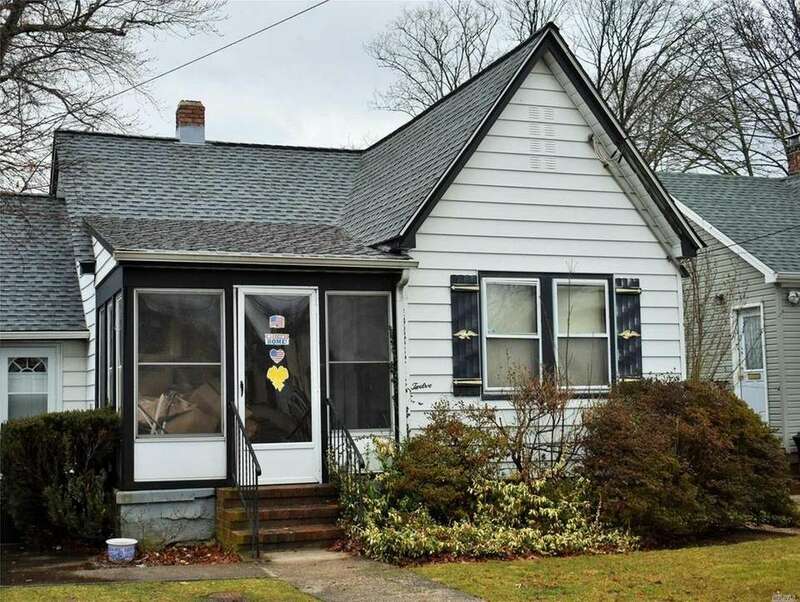 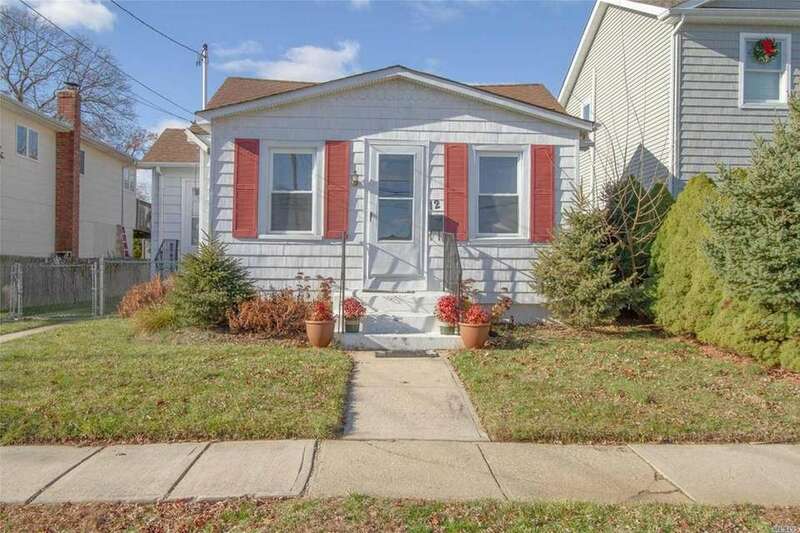 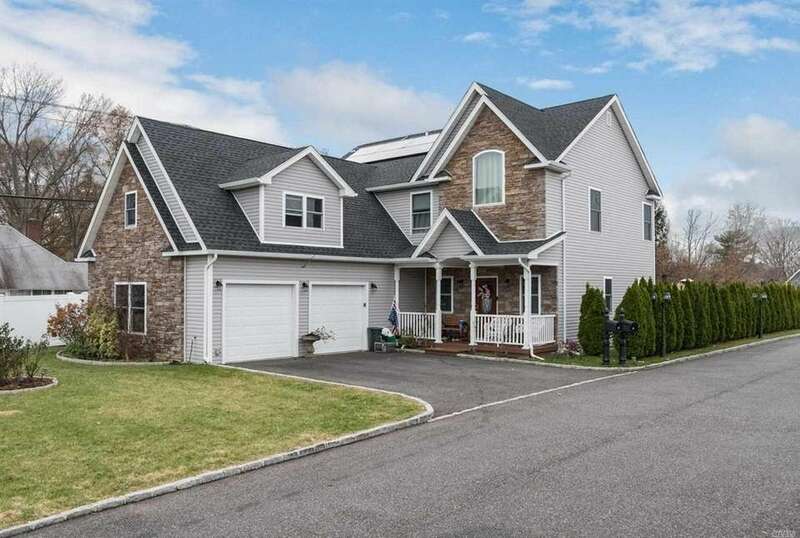 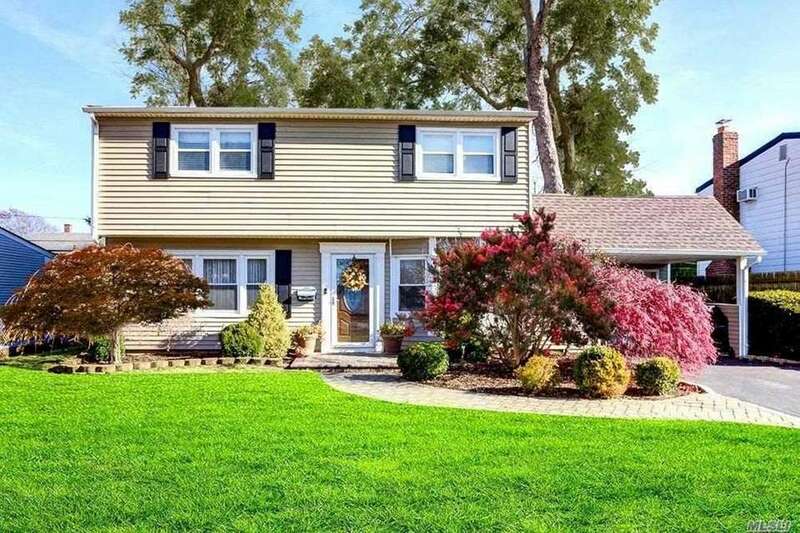 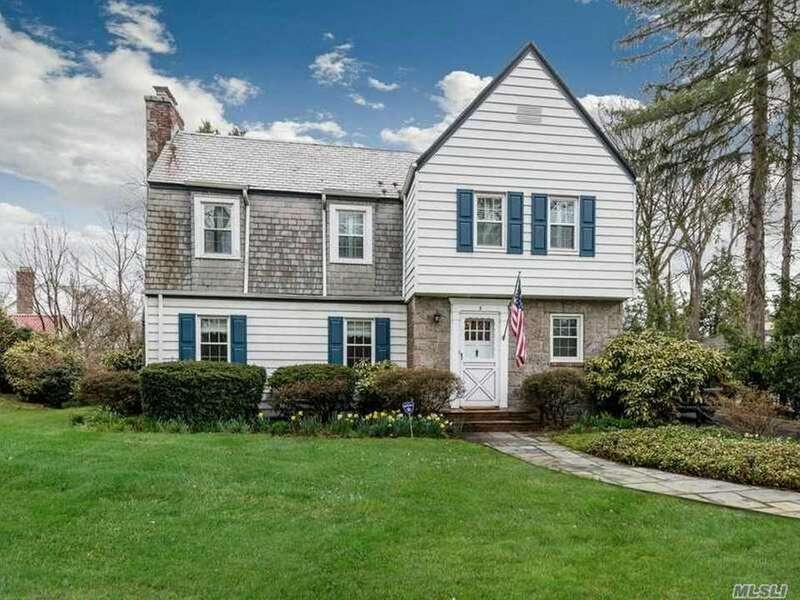 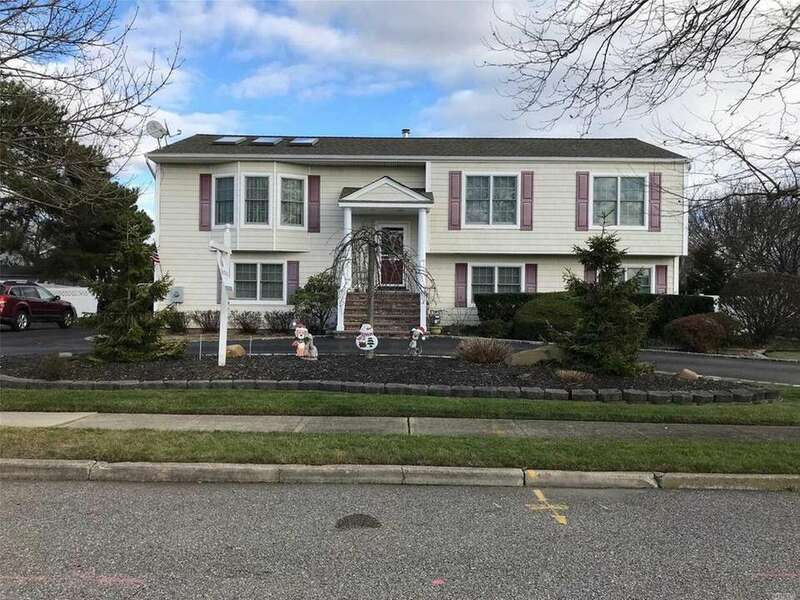 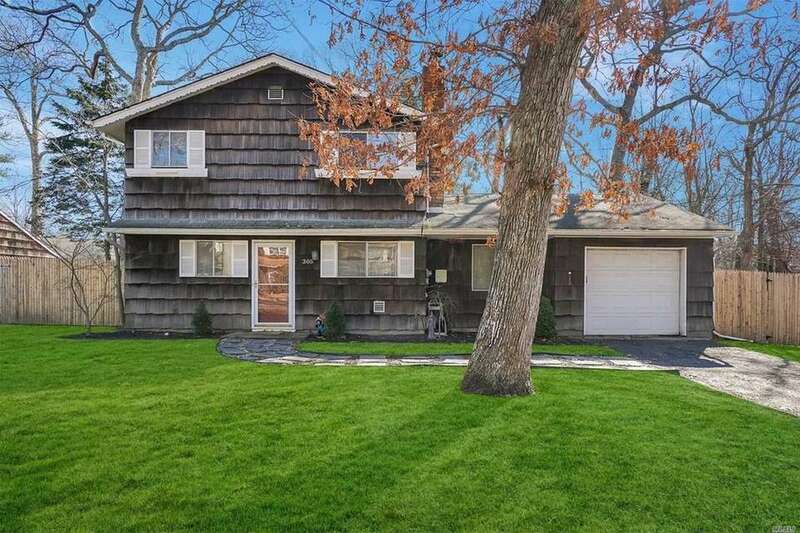 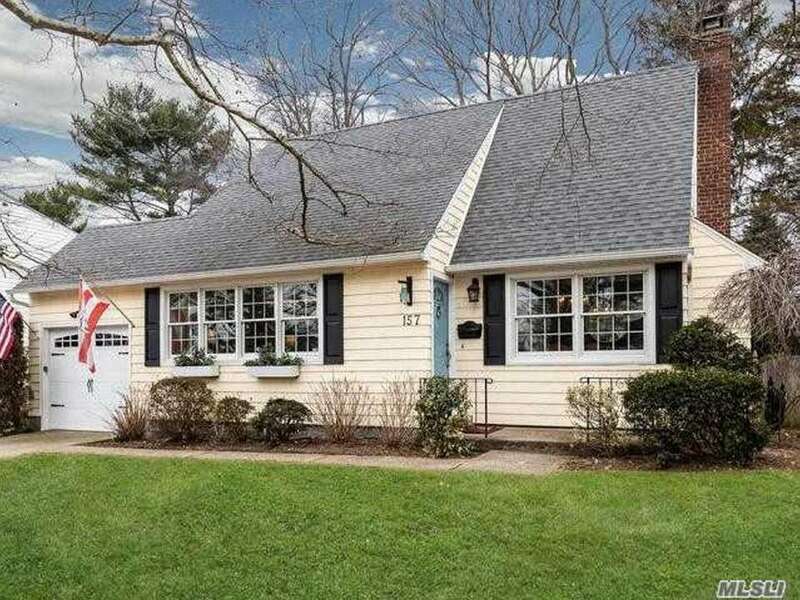 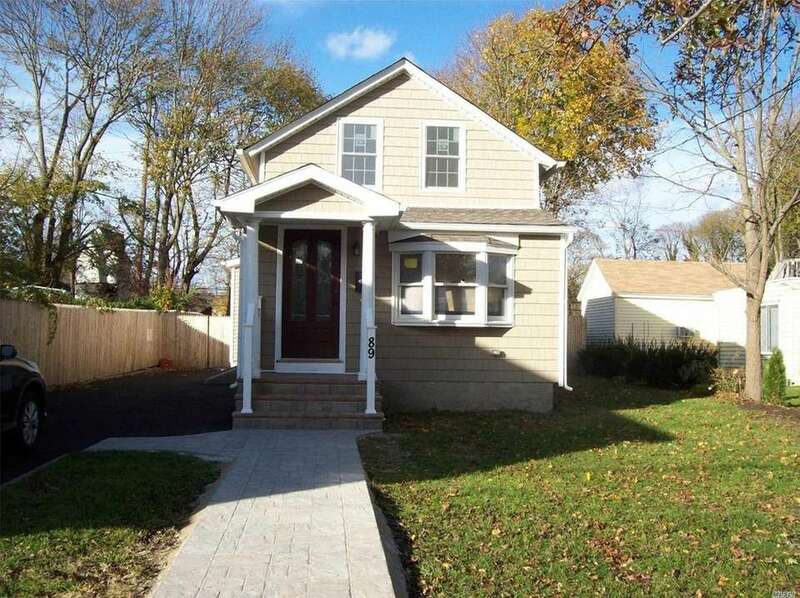 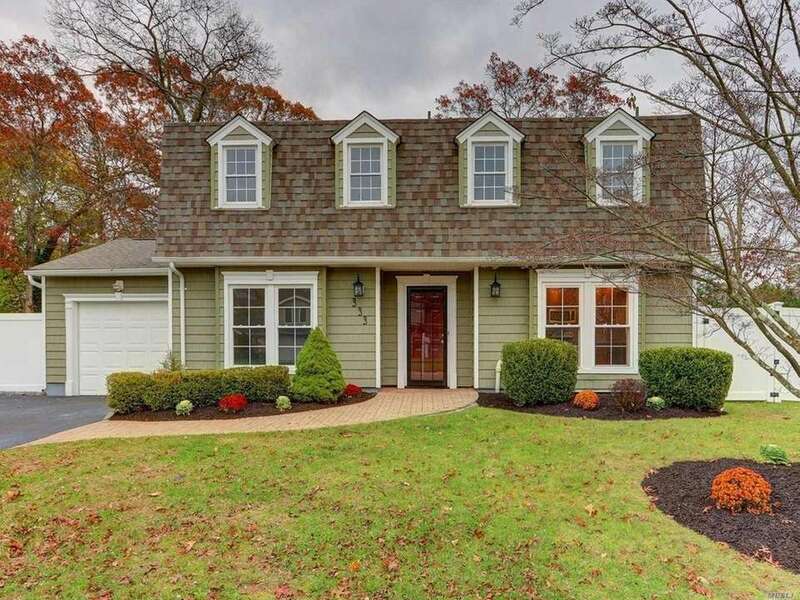 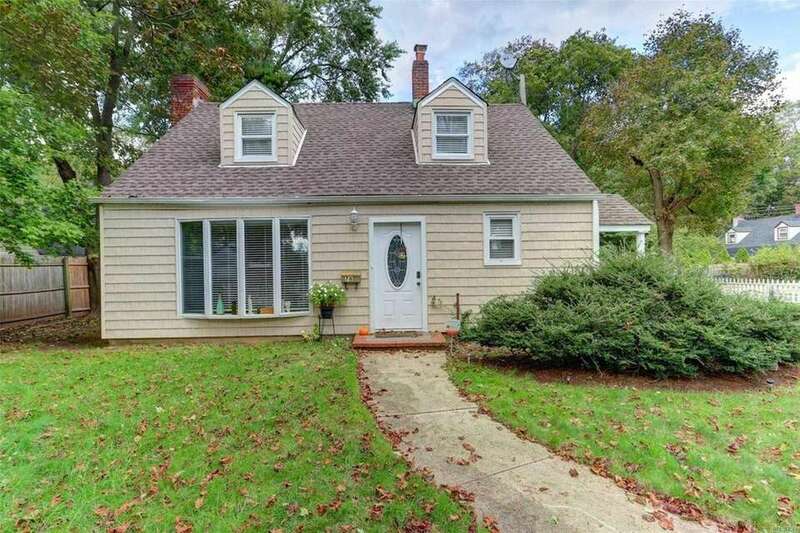 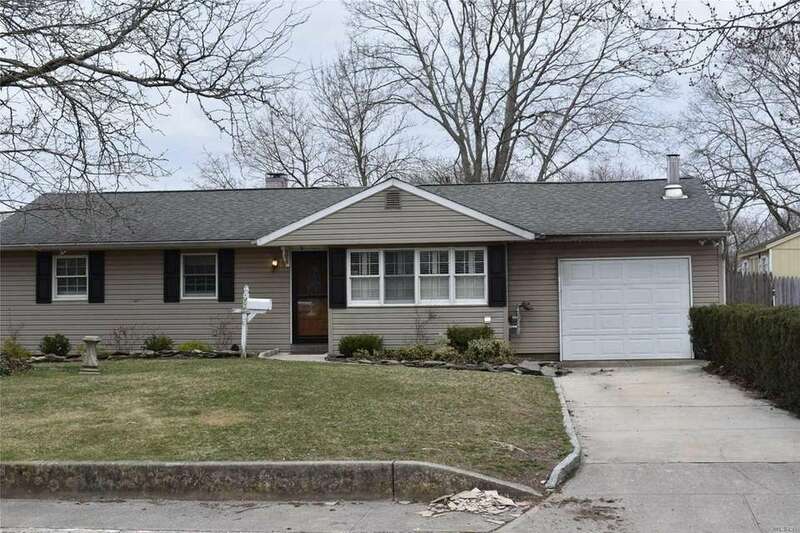 The housing market on Long Island offers a variety of styles, options, and price ranges. 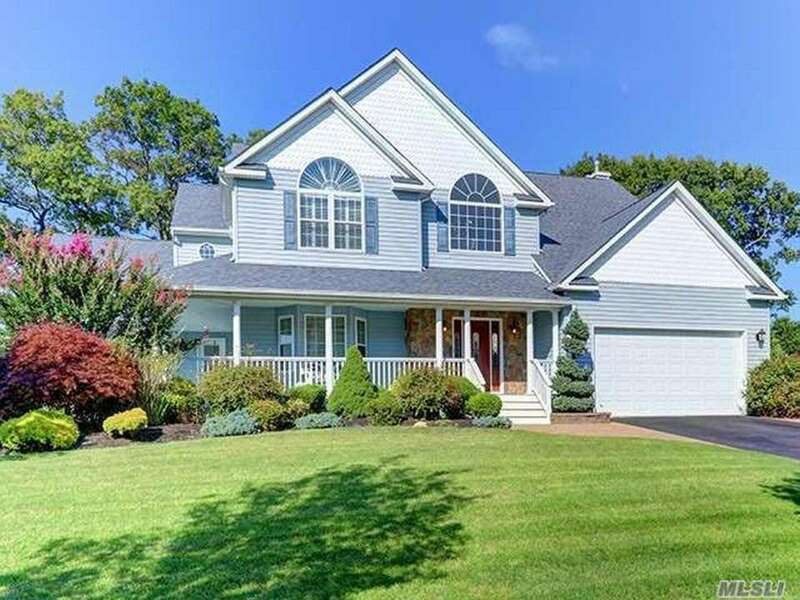 Here are some homes from across the Island that have recently come on the market. 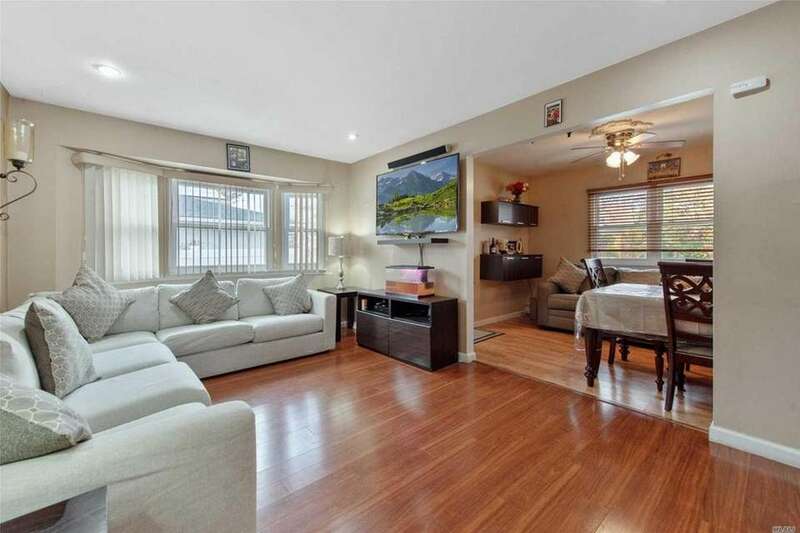 The house, with hardwood flooring throughout, includes a living room with a gas fireplace. 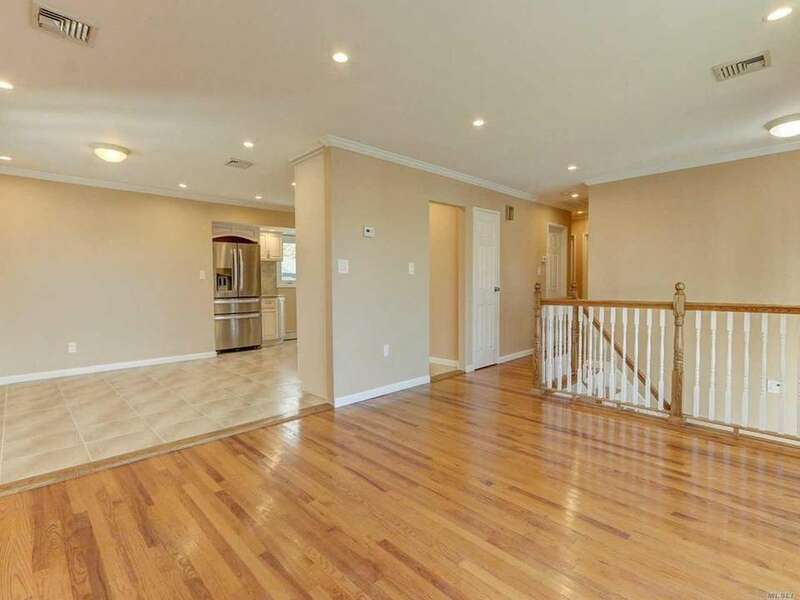 Hardwood flooring is featured in the formal living and dining rooms. 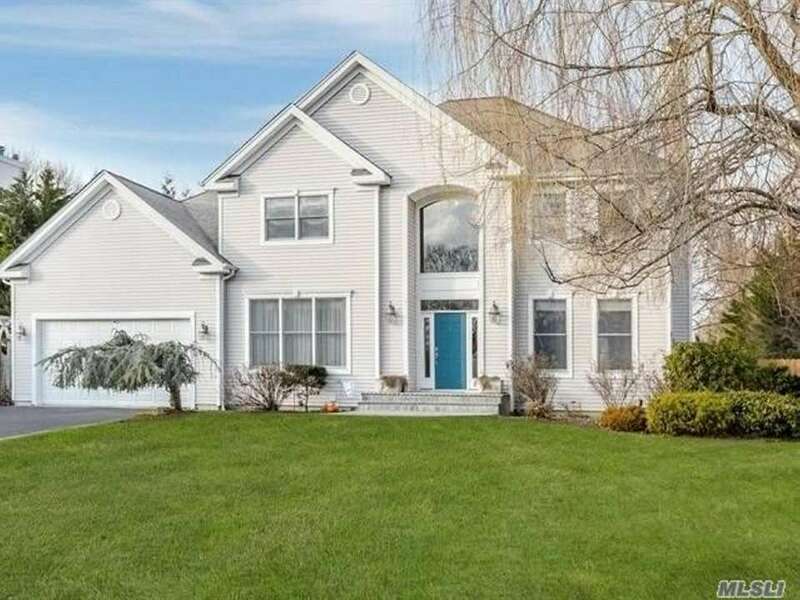 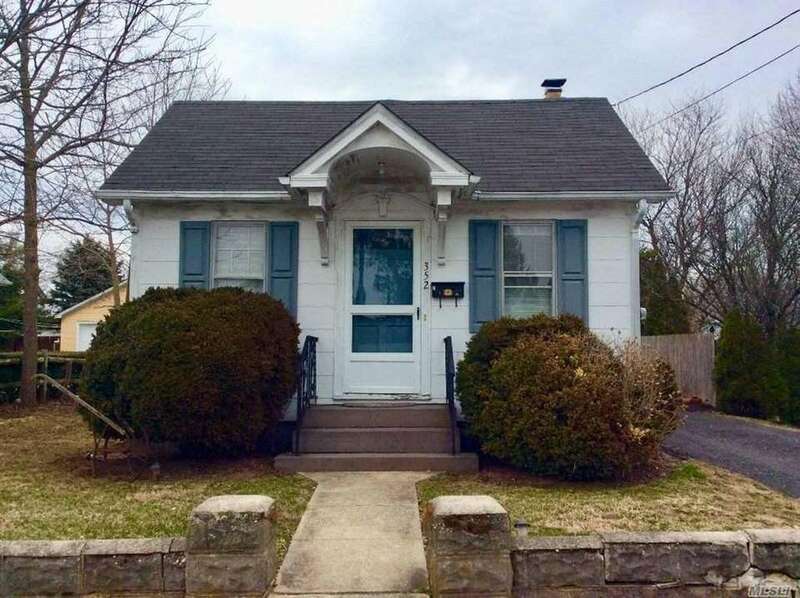 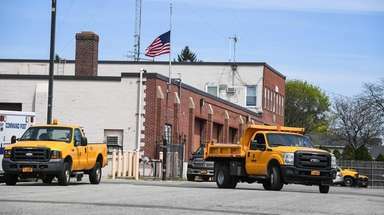 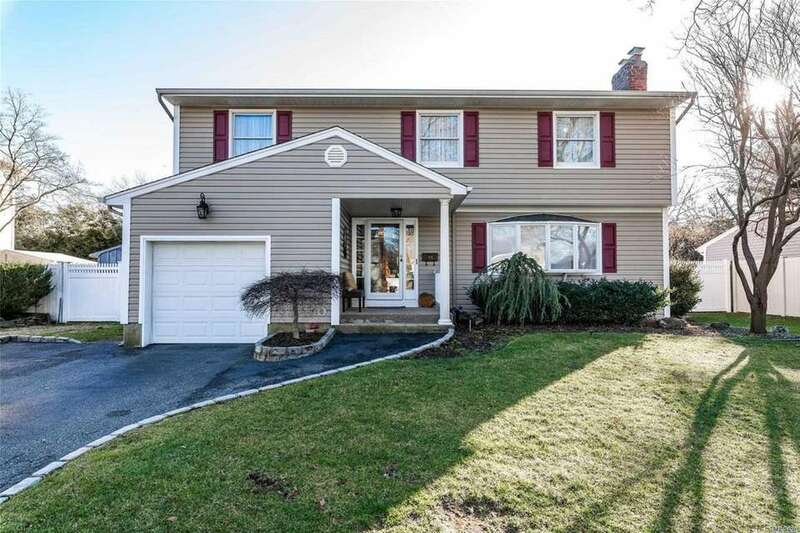 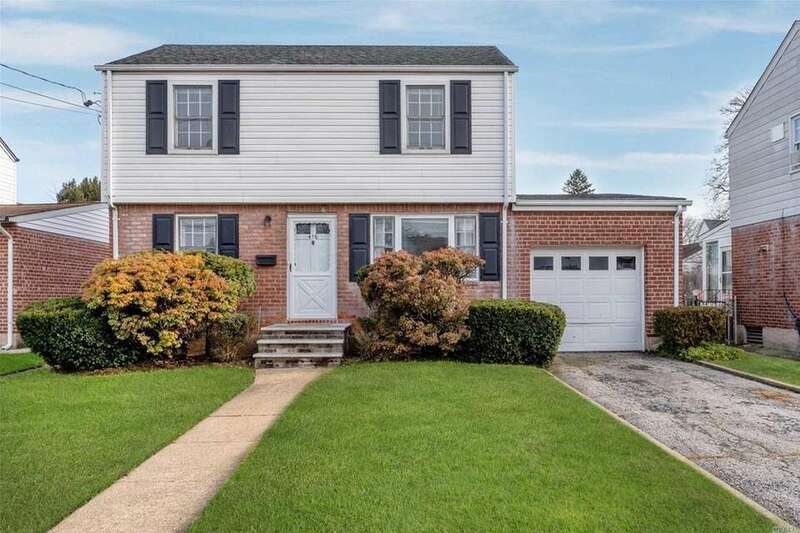 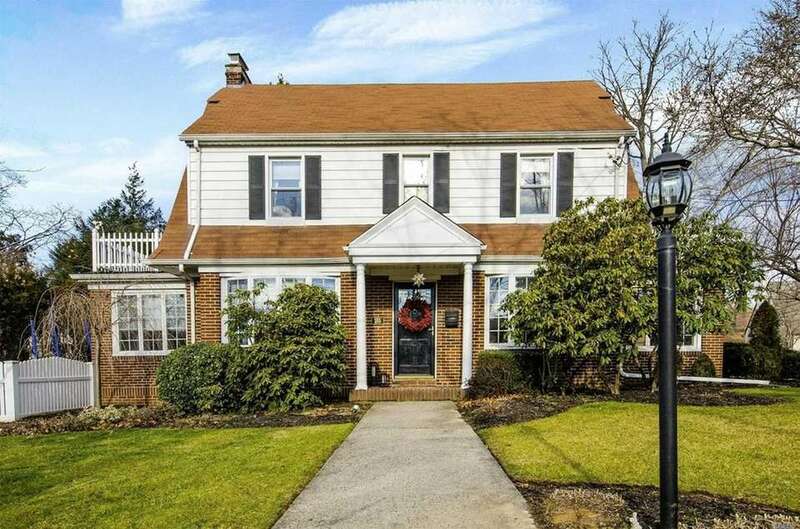 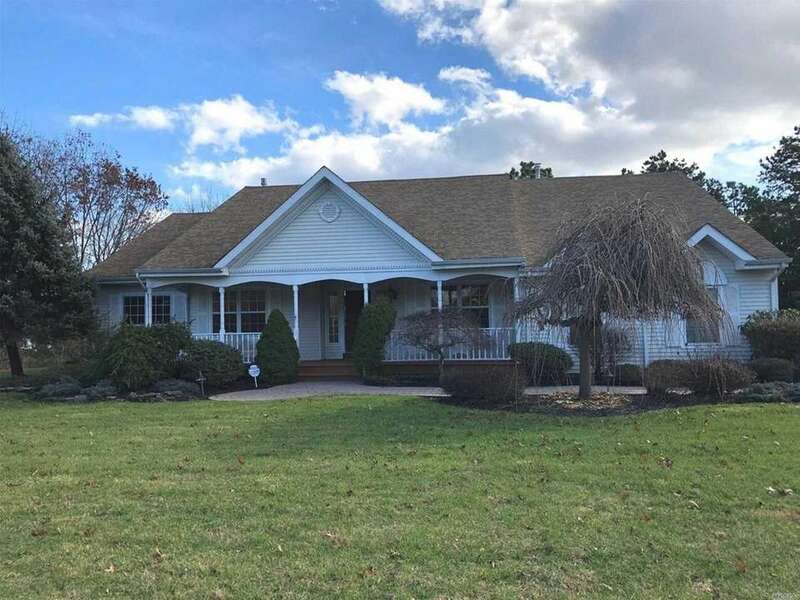 The house includes a living room, formal dining room, new granite kitchen with a center island, an updated granite bathroom and a finished basement. 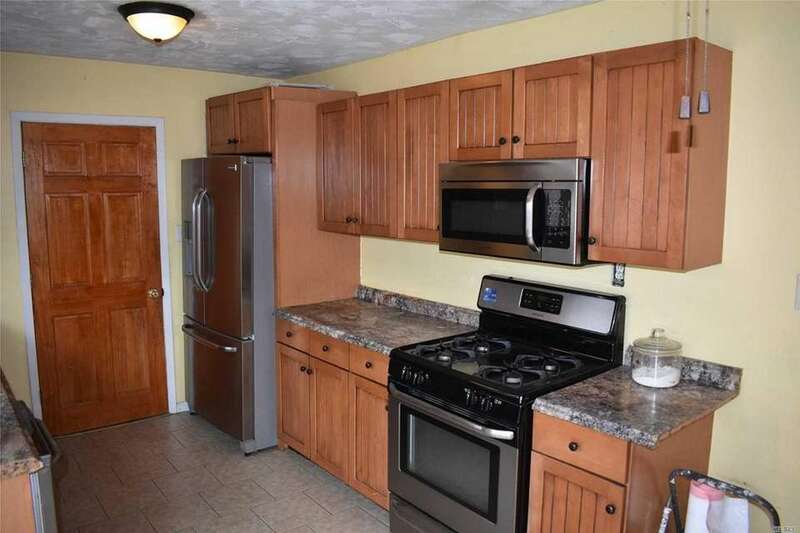 The kitchen features stainless steel appliances and sliding glass doors that open to a deck. 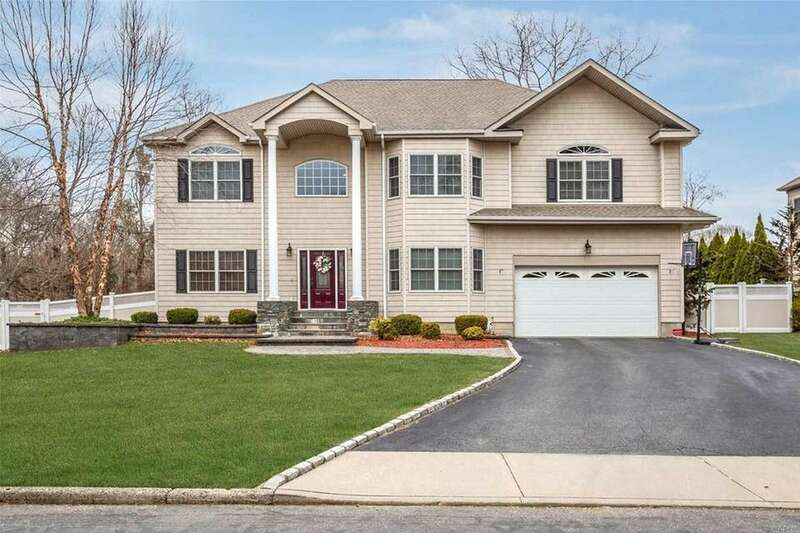 Beyond the entry foyer is a living room, formal dining room and granite kitchen. 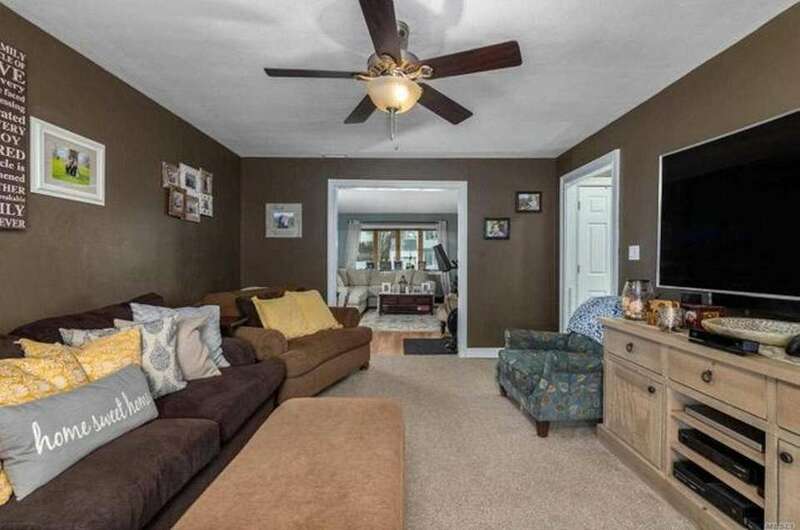 The living room flows into a den with sliders that open to the yard. 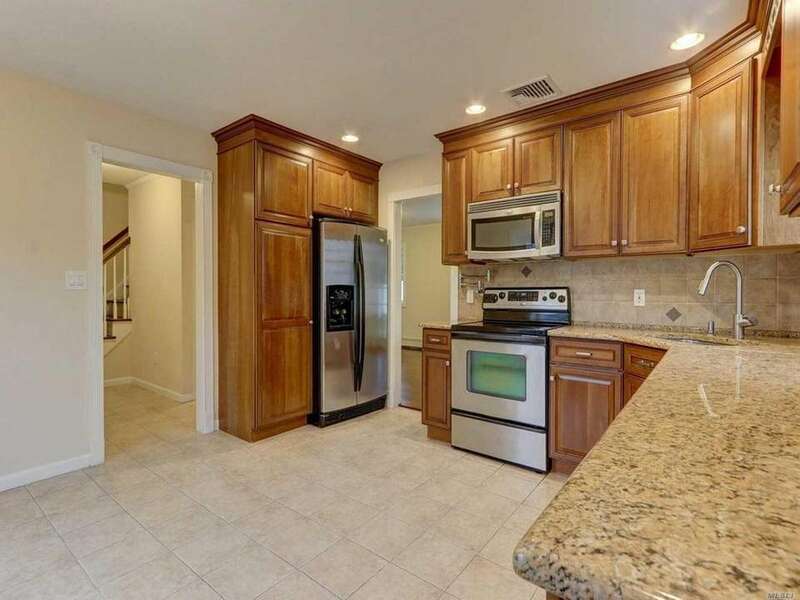 The kitchen, with granite counters and stainless steel appliances, opens to the family room. 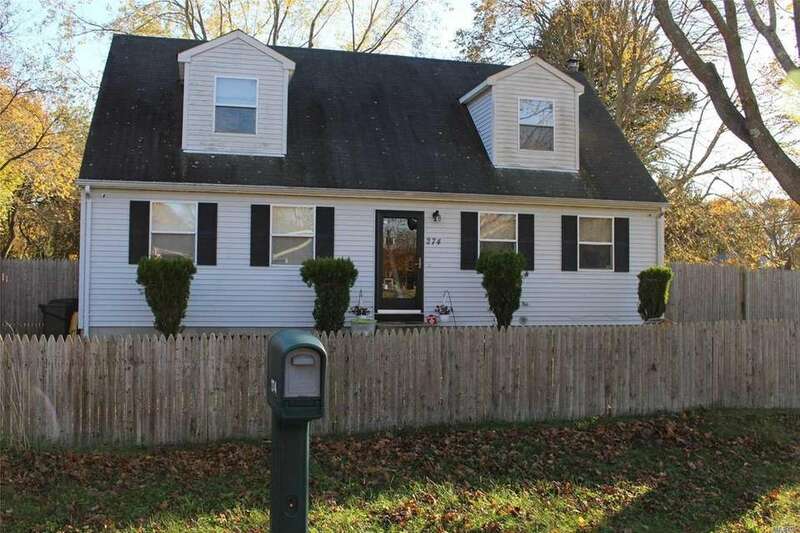 The house features a living room, dining room, kitchen, basement and one-car garage. 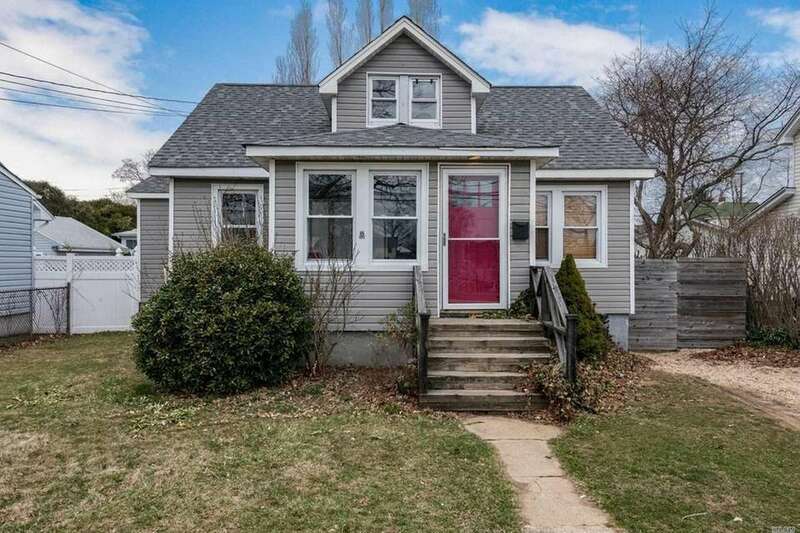 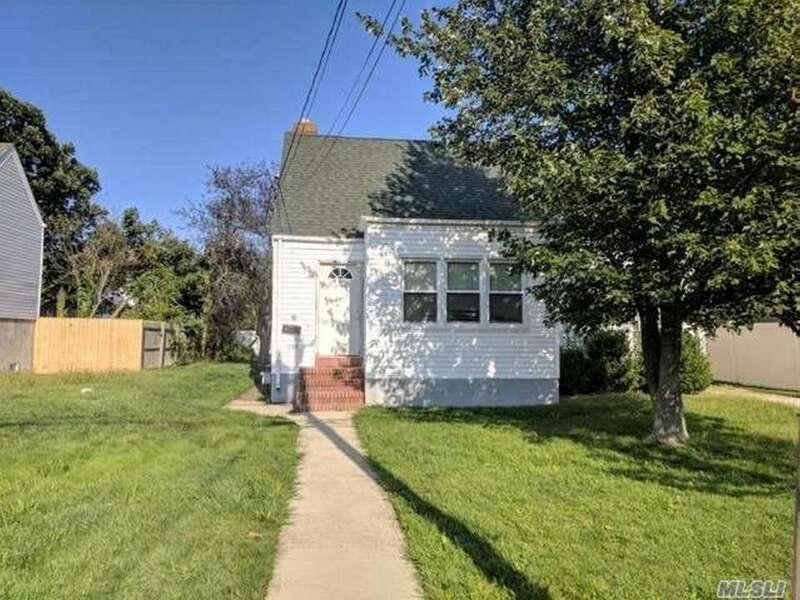 The house features an enclosed porch, a living room, dining room and renovated kitchen with stainless steel appliances. 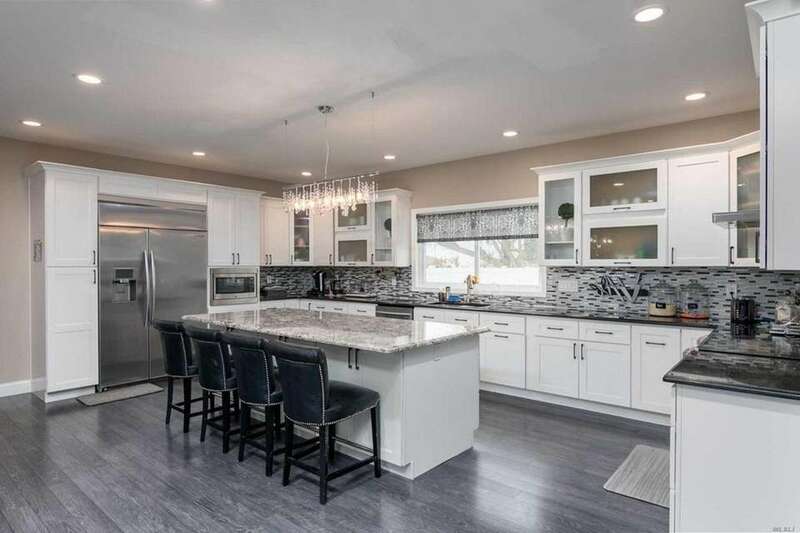 The gourmet eat-in kitchen includes a center island, granite countertops, and sliding glass doors that open to a patio. 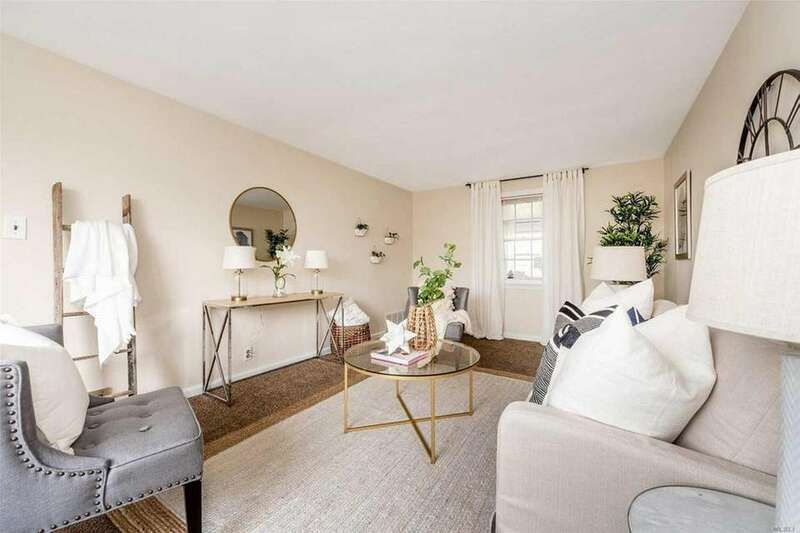 The main level includes a living room with a fireplace, an eat-in kitchen, two bedrooms and a full bath. 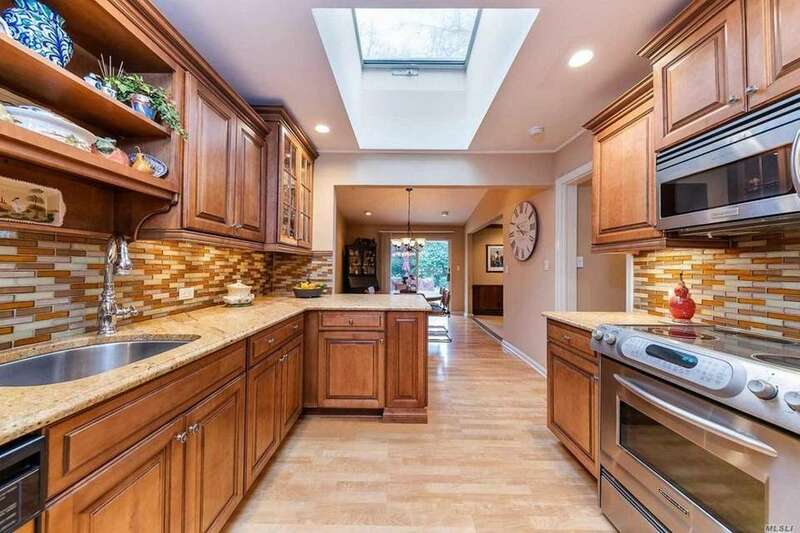 The kitchen opens to a two-story family room with a fireplace. 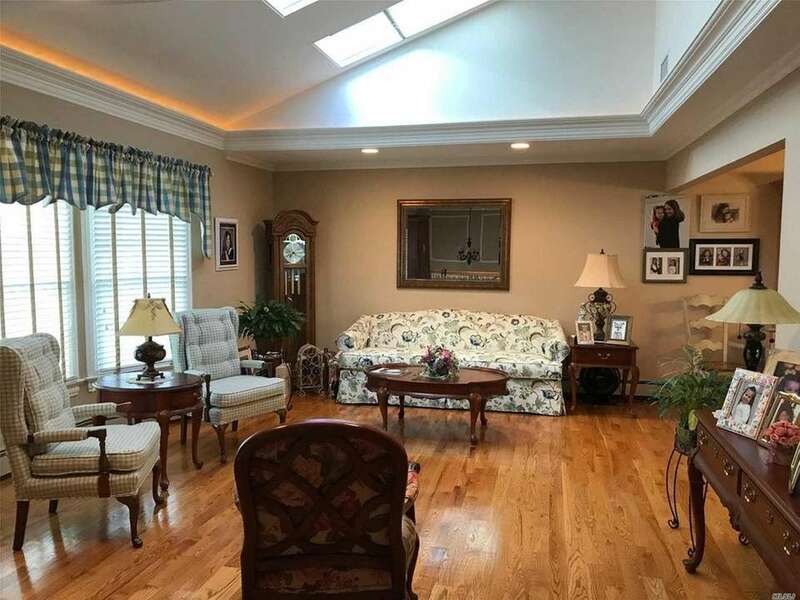 The house features a living room-dining room combination, an eat-in kitchen, a bedroom with vaulted ceilings, a screened porch and basement. 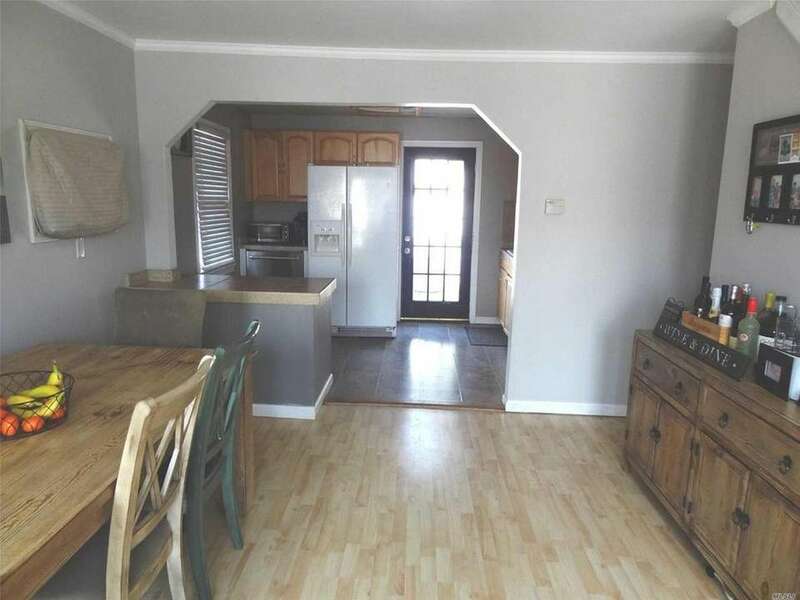 The open layout includes a living room, dining room and eat-in kitchen. 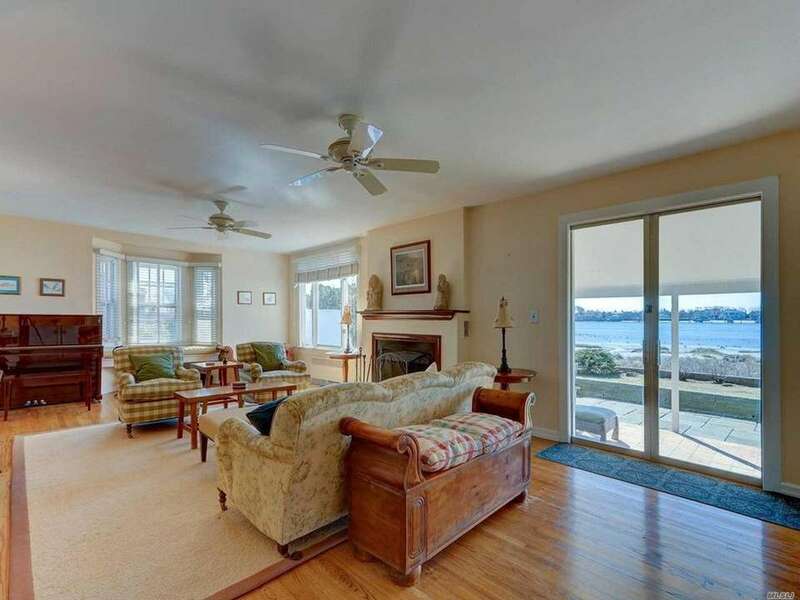 The living room features a fireplace and sliding glass doors that offer water views. 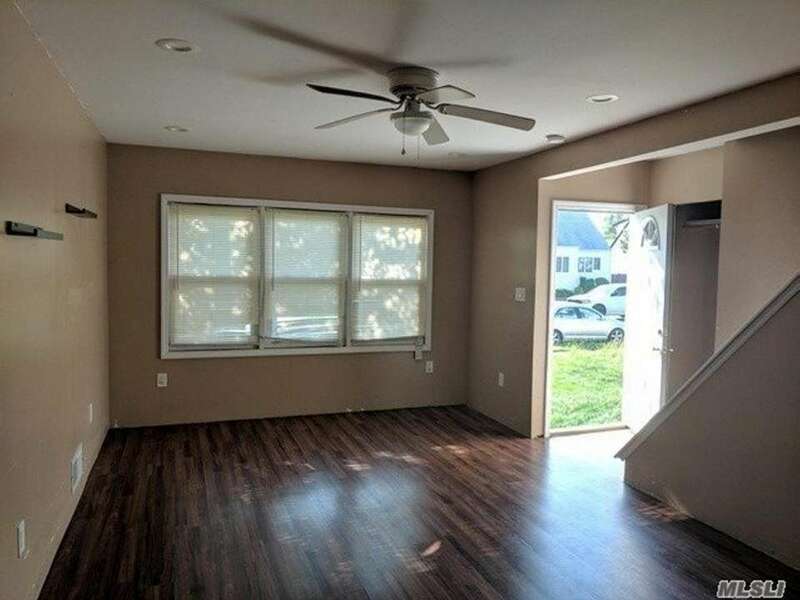 The open floor plan, with hardwood flooring, features a living room, kitchen and dining area with sliders. 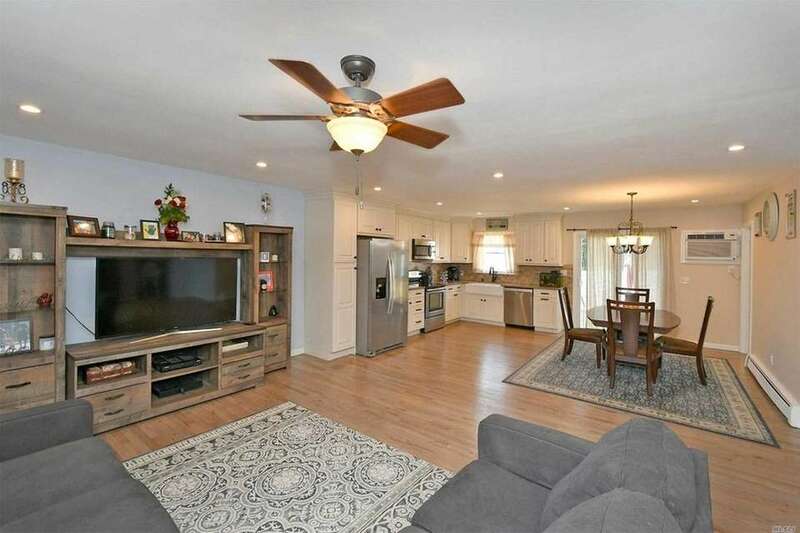 The main level includes a living room, formal dining room and recently renovated kitchen with quartz countertops, stainless steel appliances and sliders. 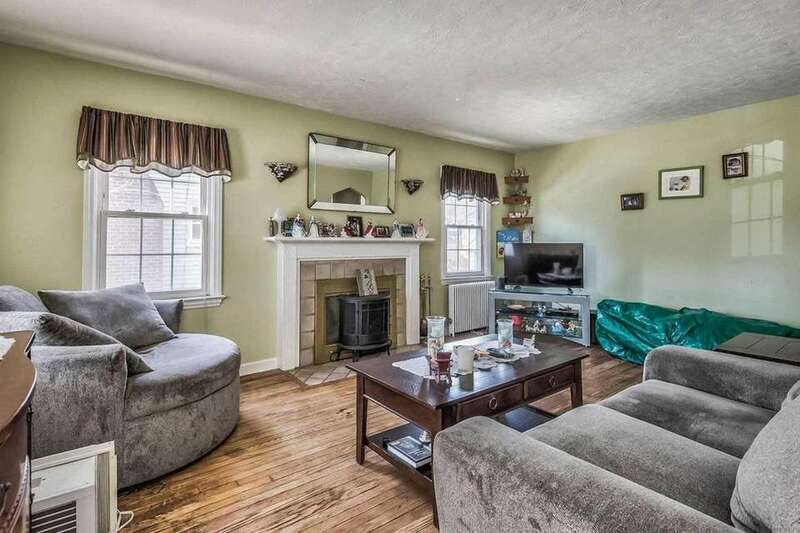 In addition to formal living and dining rooms, the house also has a den with a fireplace. 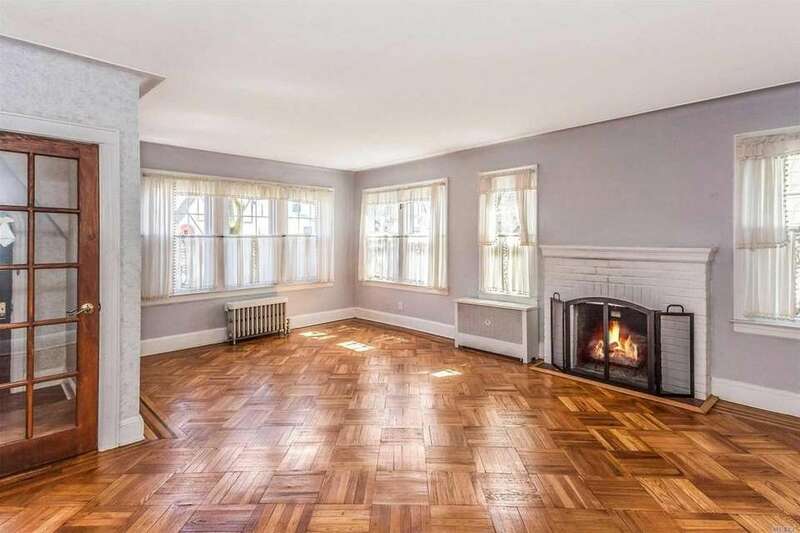 The house, with hardwood floors throughout, features built-in shelving in the dining room. 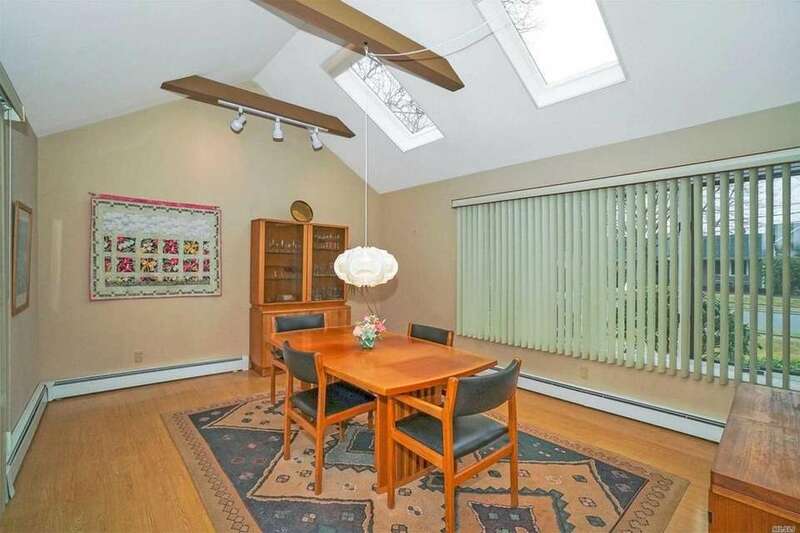 The dining room features vaulted ceilings with skylights. 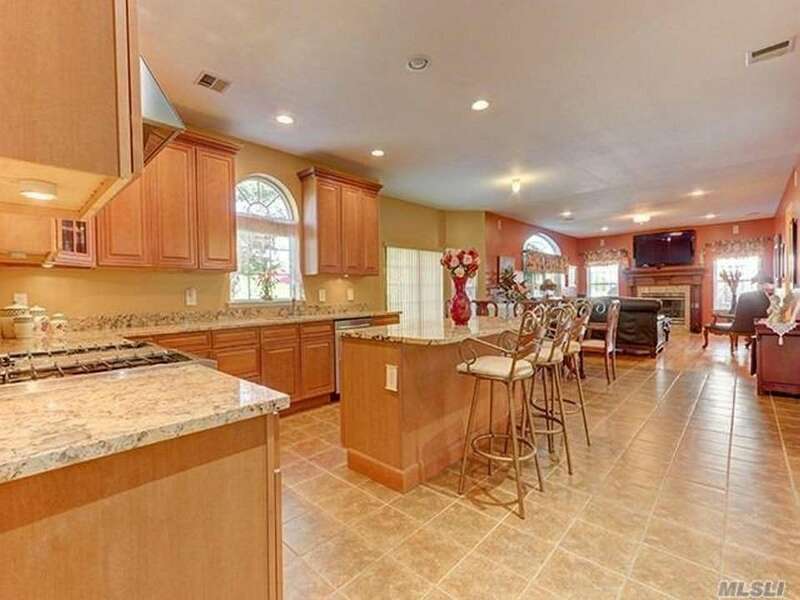 The open floor plan includes a living room, a dining room with sliders and a granite kitchen. 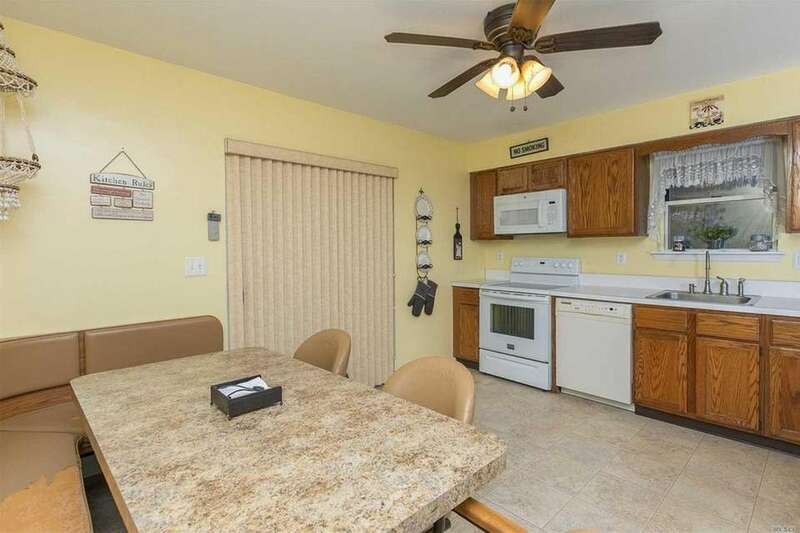 Adjacent to the eat-in kitchen and dining room is a family room. 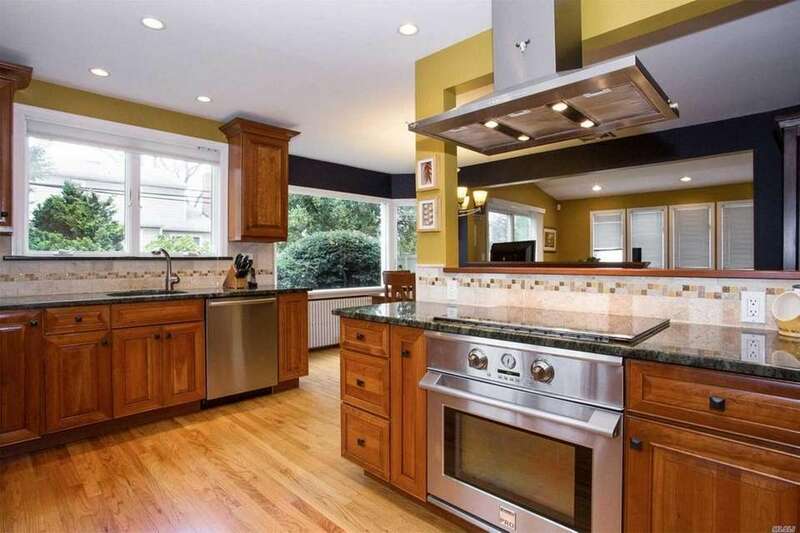 The eat-in kitchen features oak cabinetry and sliding glass doors. 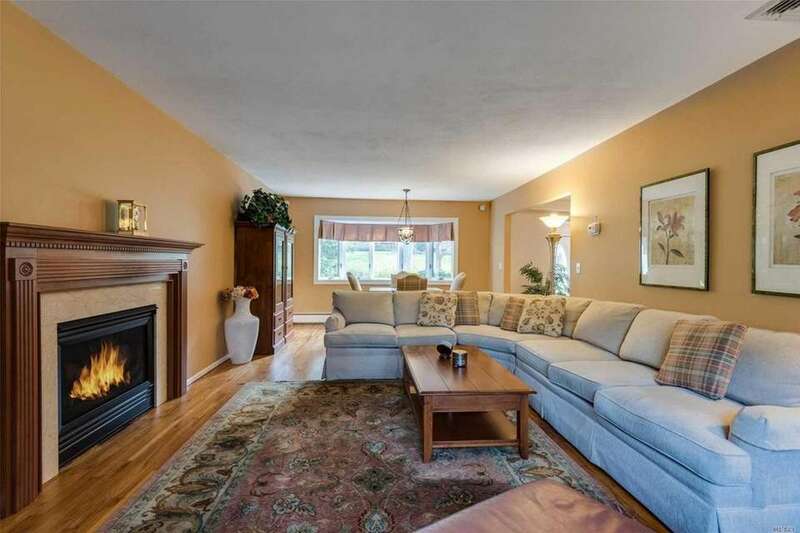 The main level includes a living room, dining room, eat-in kitchen, master bedroom and full bath. 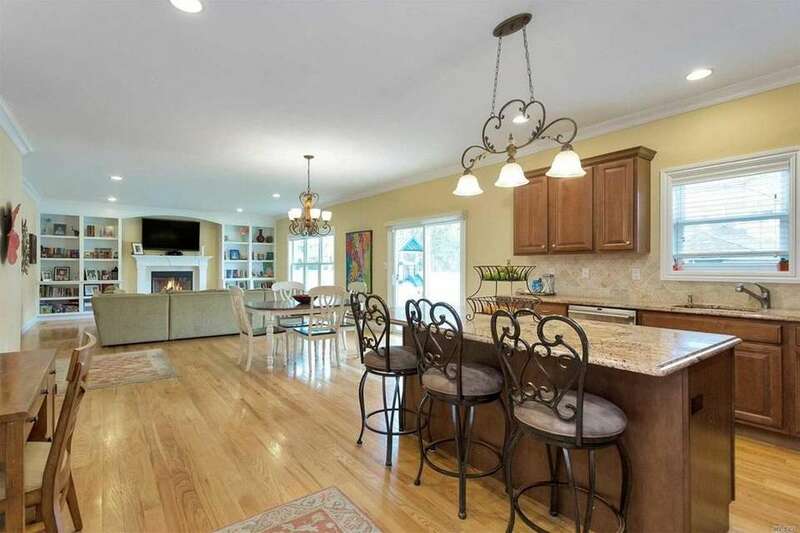 The granite eat-in kitchen, which features a center island, opens to a family room with a fireplace. 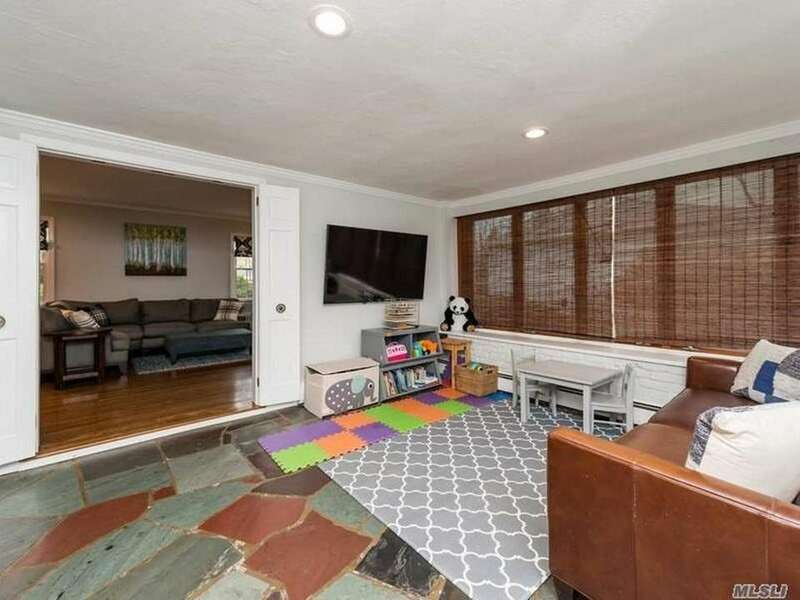 In addition to a living room with a fireplace, the house also has a den. 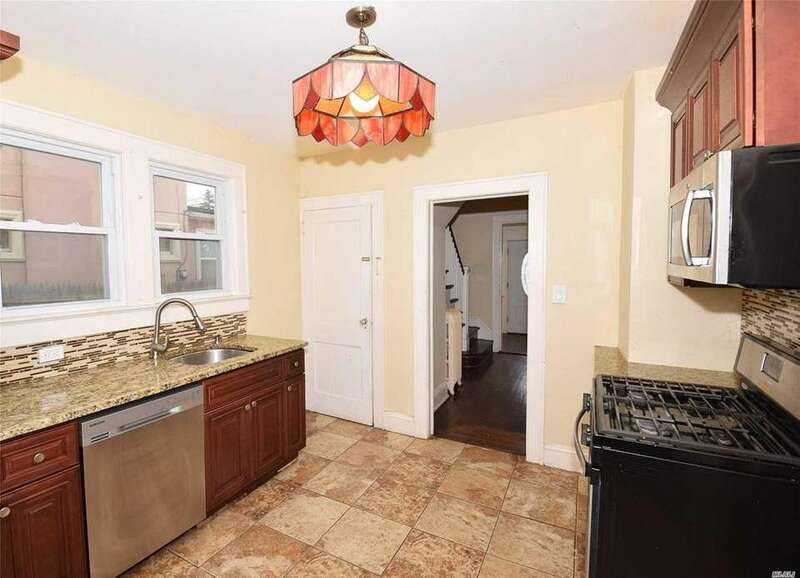 The kitchen features custom tile work, stainless steel appliances and quartz countertops. 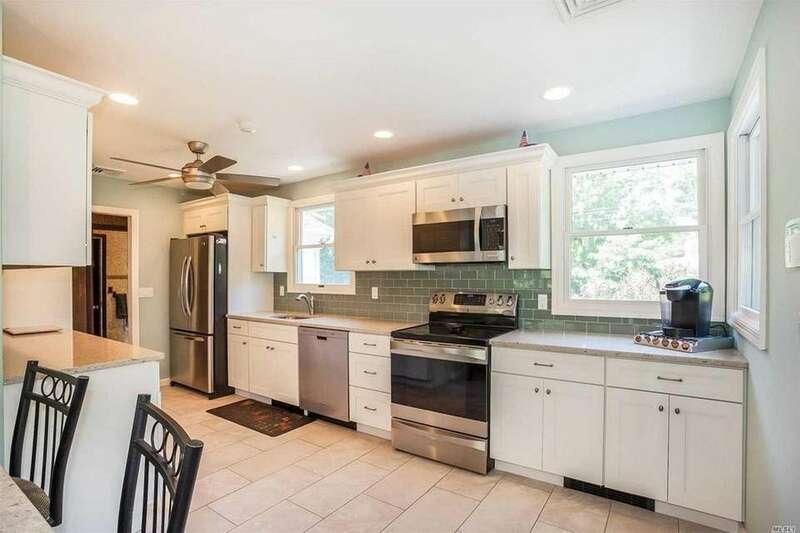 The eat-in kitchen features wood cabinetry and access to a paver patio in the backyard. 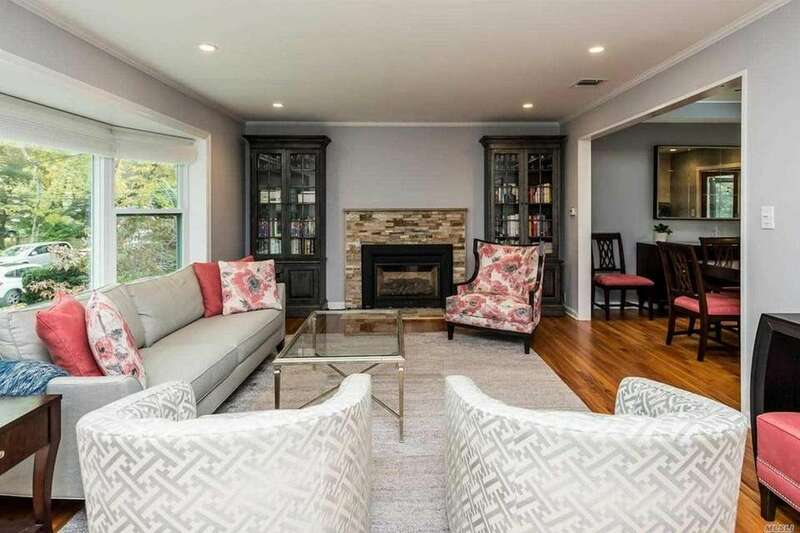 The house features a living room with a wood-burning fireplace, a dining room and a kitchen with new counters, floors and backsplash. 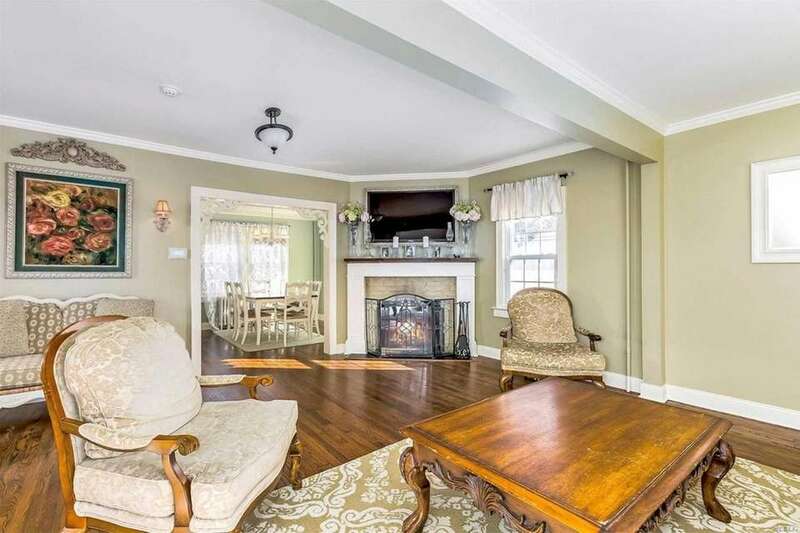 The formal living room flows into a great room with a fireplace and a chef's kitchen. 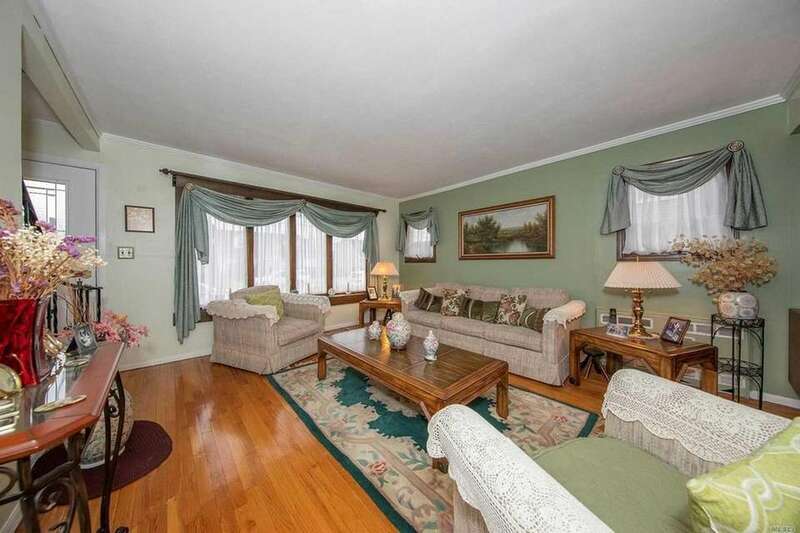 The main level includes a living room, formal dining room and extended eat-in kitchen. 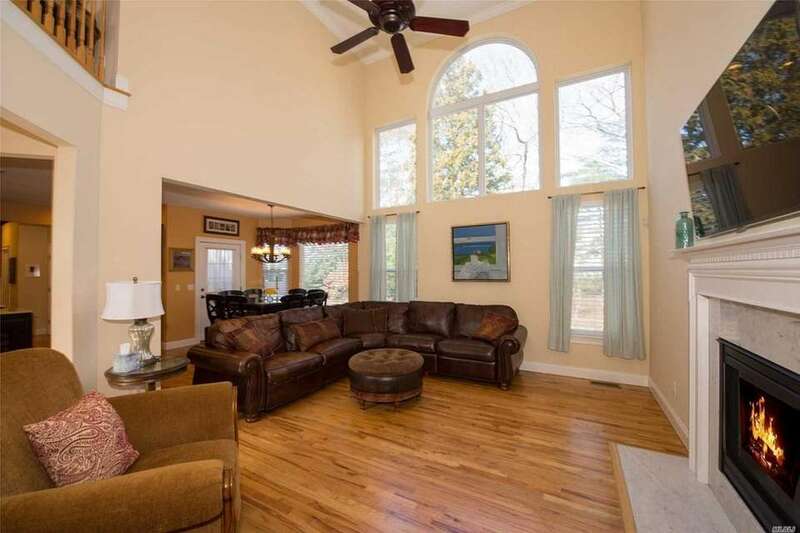 Beyond the two-story entry is a formal living room with vaulted ceilings and a formal dining room. 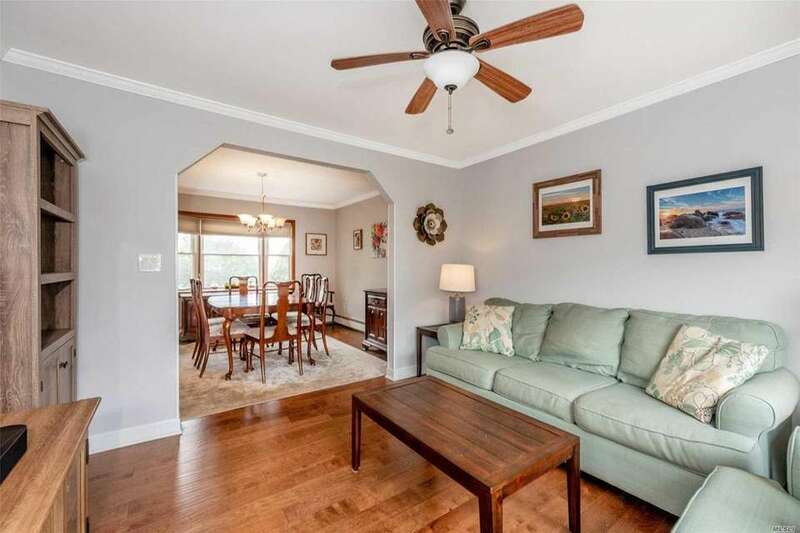 An enclosed porch leads into the living room, dining room and eat-in kitchen. 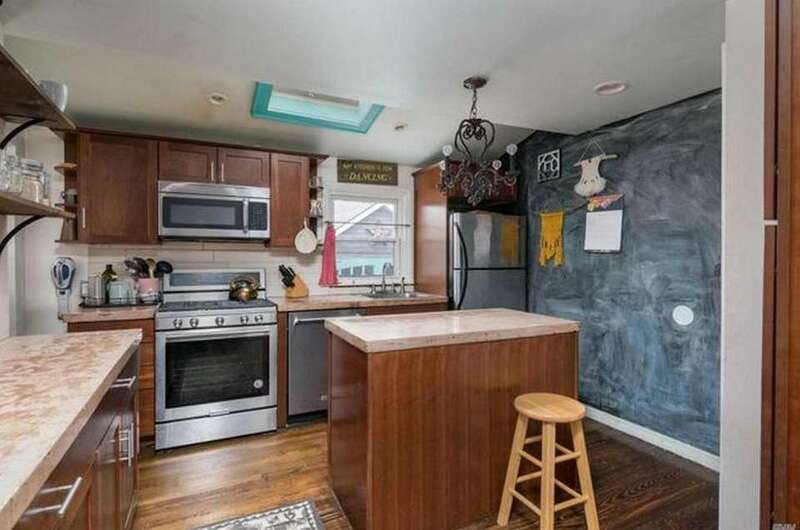 Off the eat-in kitchen is a step-down family room with sliders and a half bath. 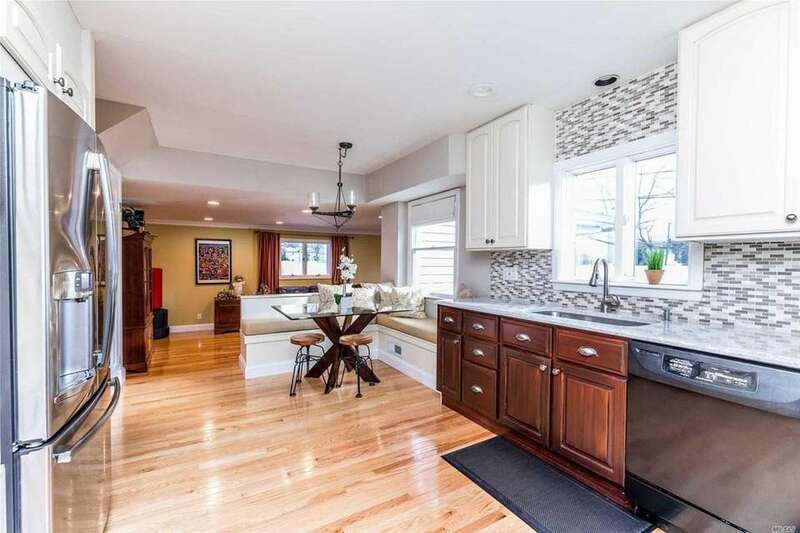 The house, which was renovated in 2011, includes an eat-in kitchen with a center island and stainless steel appliances. 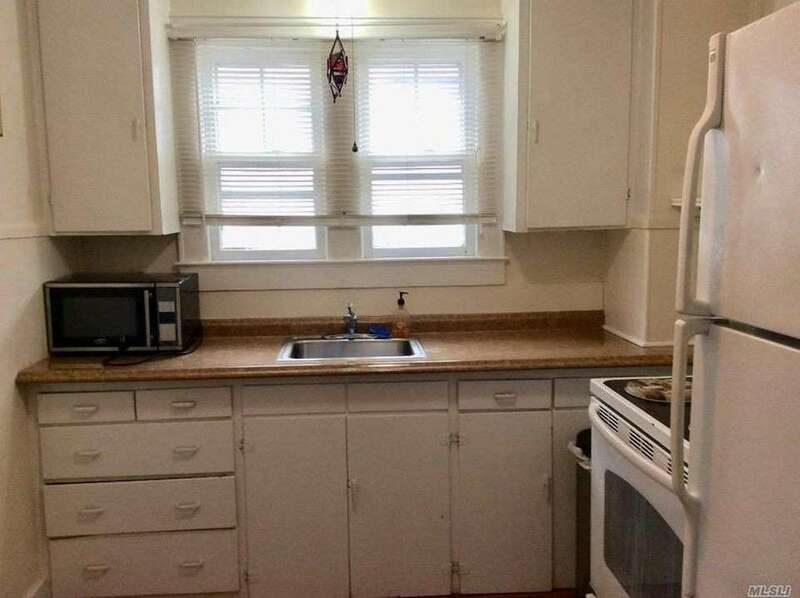 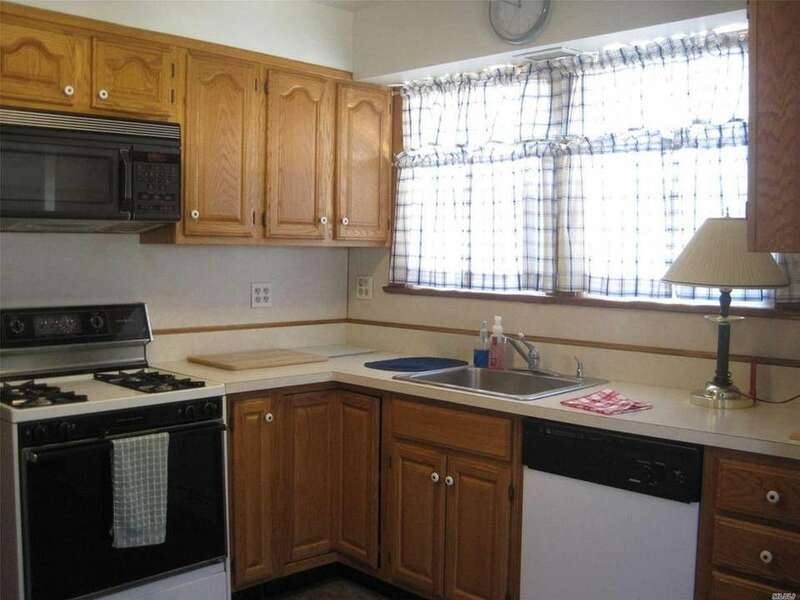 The updated kitchen features granite countertops and stainless steel appliances. 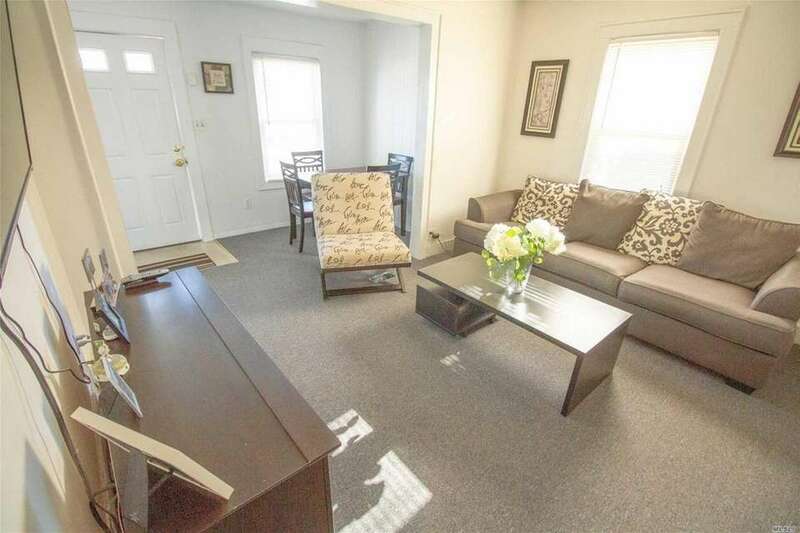 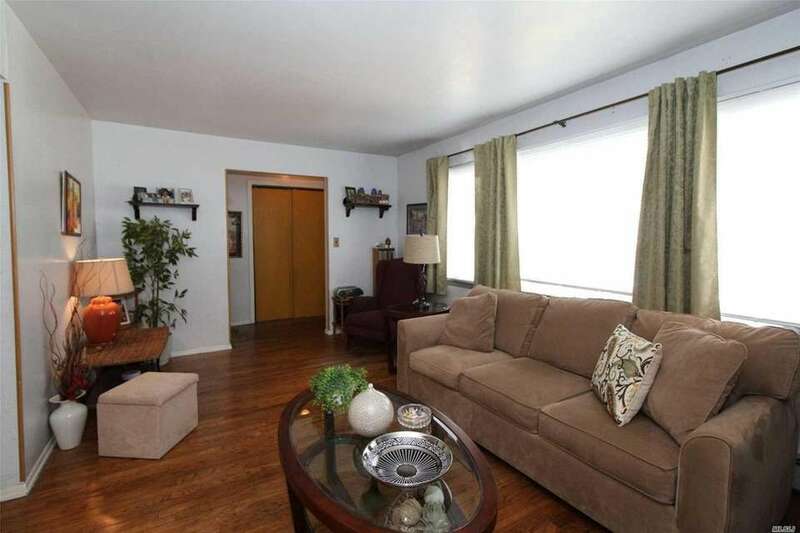 In addition to the living room, there is also a first-floor den with a half bathroom. 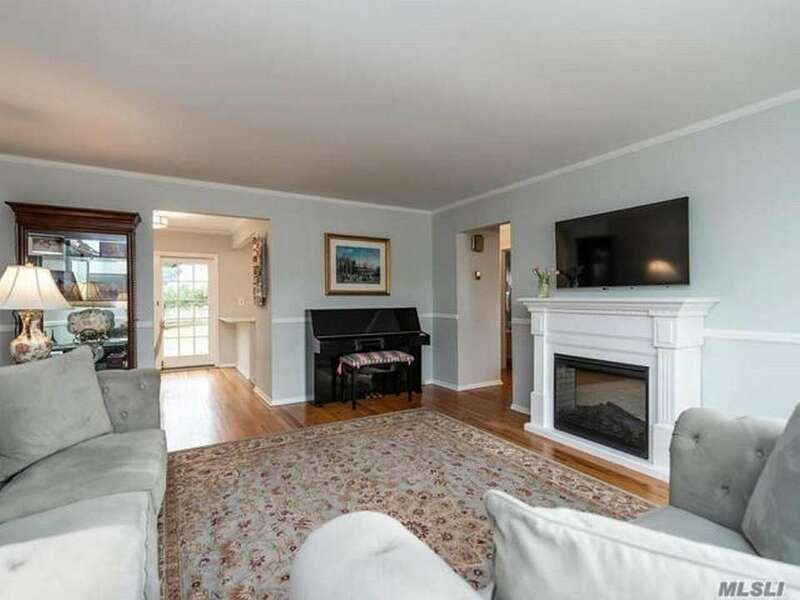 The house includes a living room with a fireplace and an updated granite kitchen with sliders. 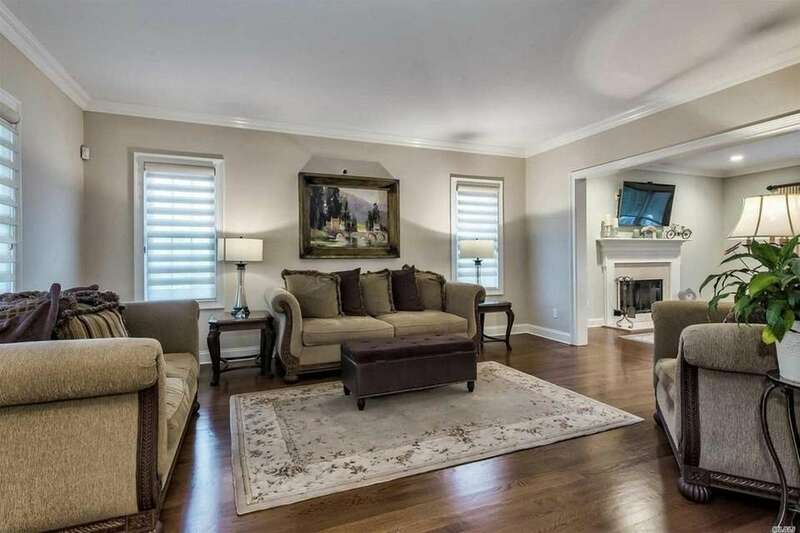 The main level includes a living room, dining area, eat-in kitchen and three bedrooms, including the master. 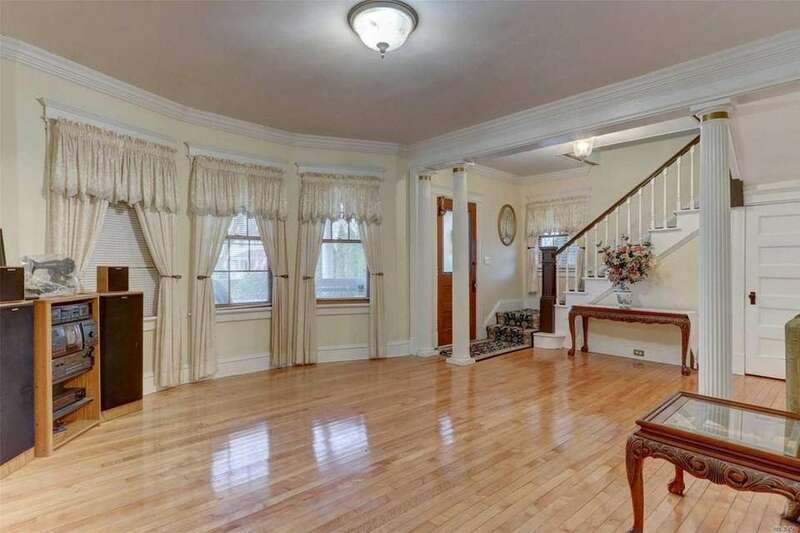 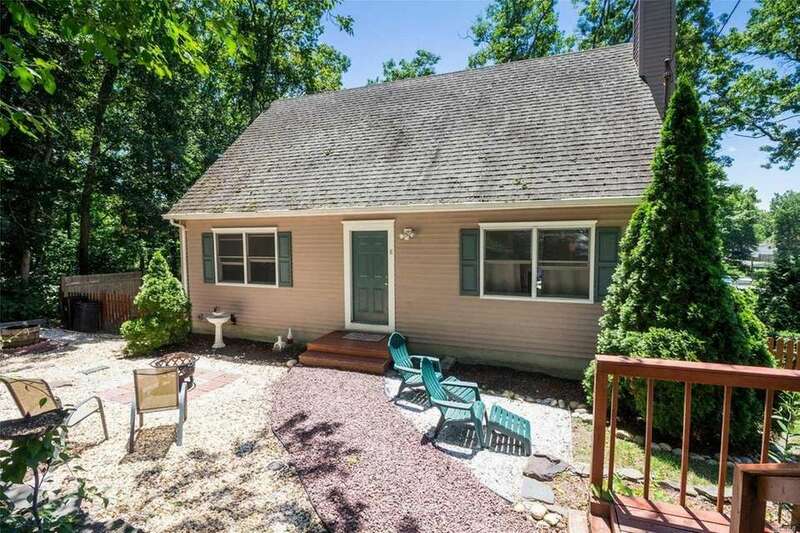 Beyond the front porch and main entry is a front parlor featuring pine wood flooring. 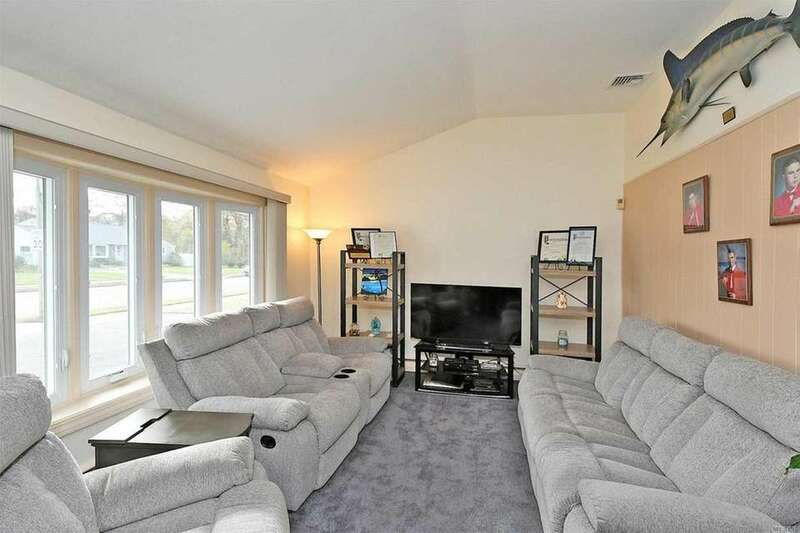 The family room features a fireplace and sliding glass doors that open to a bluestone patio. 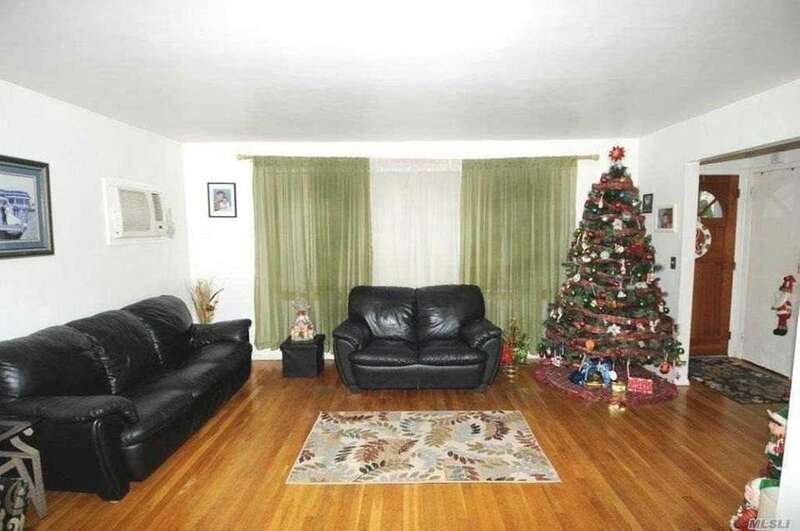 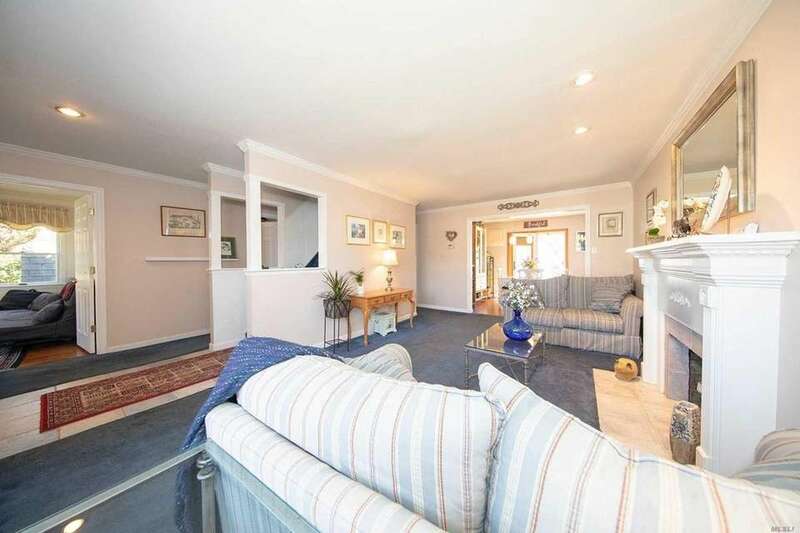 The living room and dining room feature hardwood flooring. 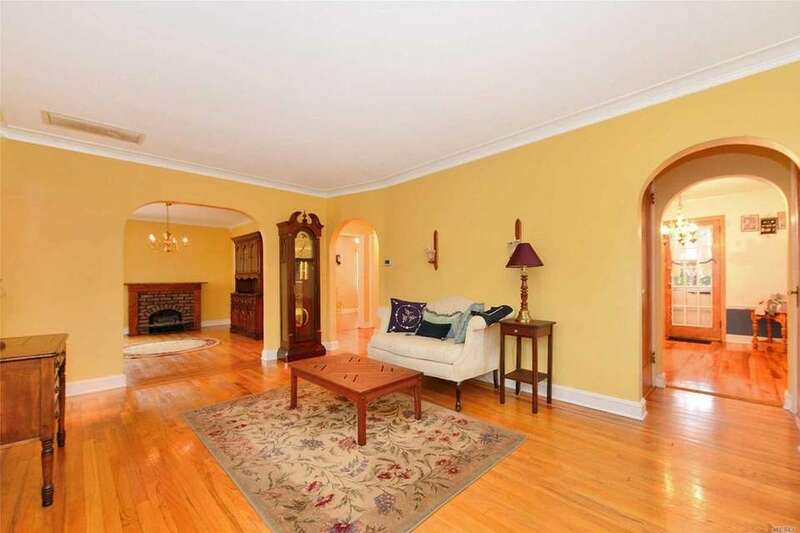 The living room leads into an archway that connects the kitchen and formal dining room. 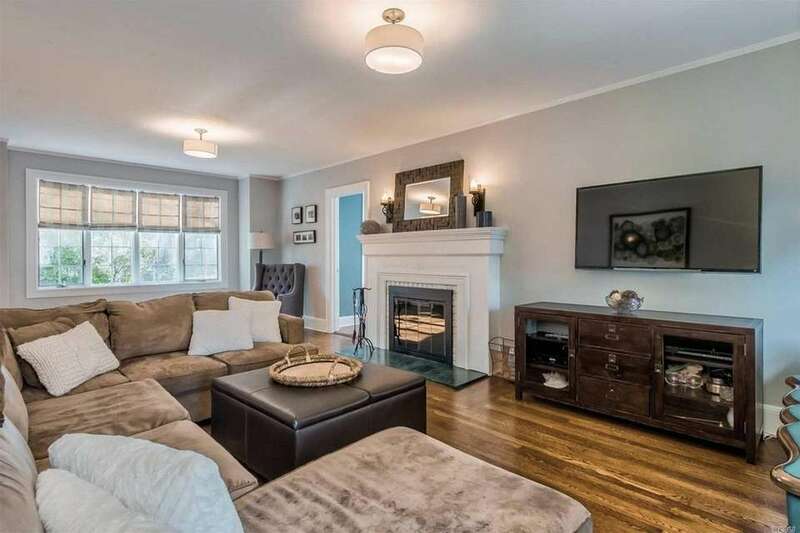 The family room, open to the remodeled kitchen, includes a raised hearth fireplace and sliders. 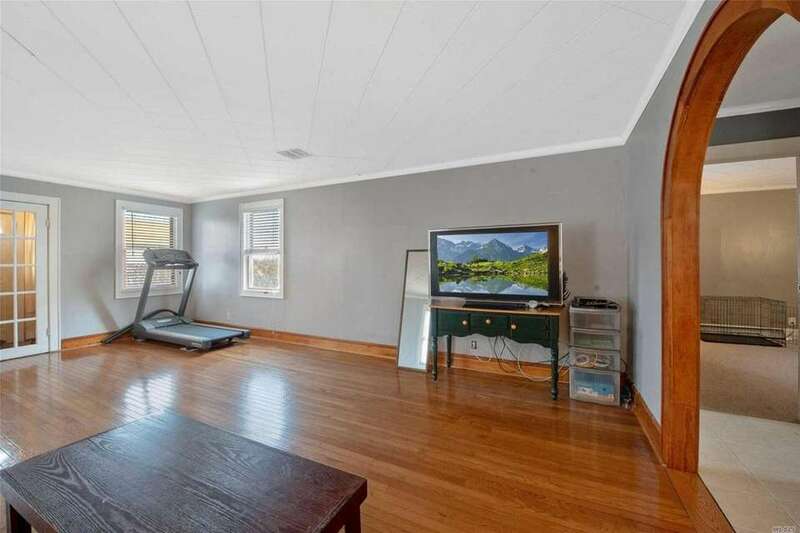 In addition to a main level with a living room and eat-in kitchen, the house has a full basement. 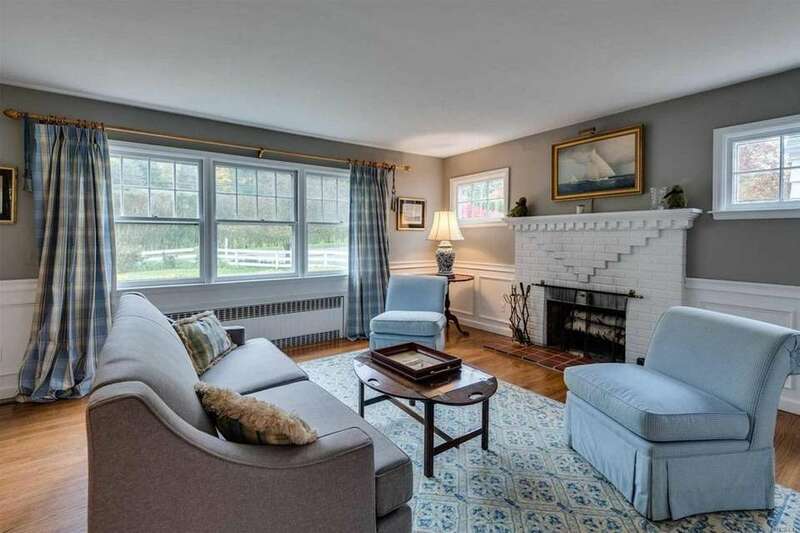 The main level of the renovated house includes a living room, dining room, kitchen, master bedroom and full bath. 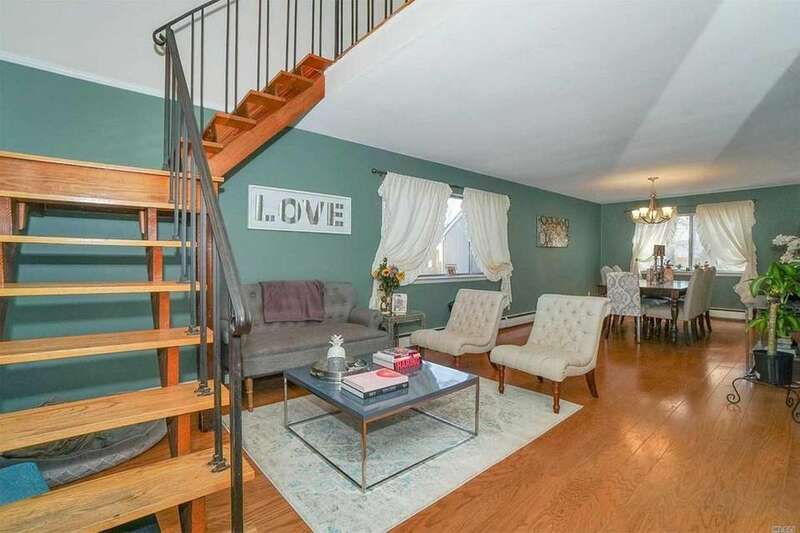 The house includes a living room, eat-in kitchen and second-level open loft. 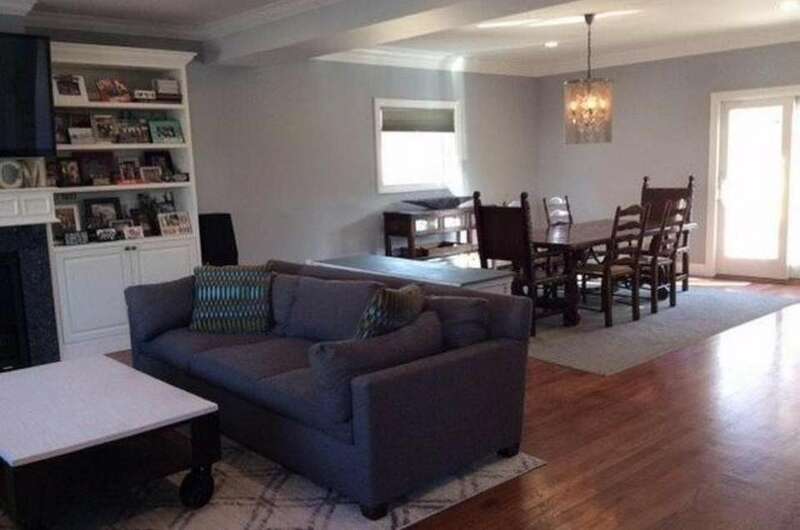 The open floor plan in the updated house includes a living room, dining room, eat-in kitchen and den. 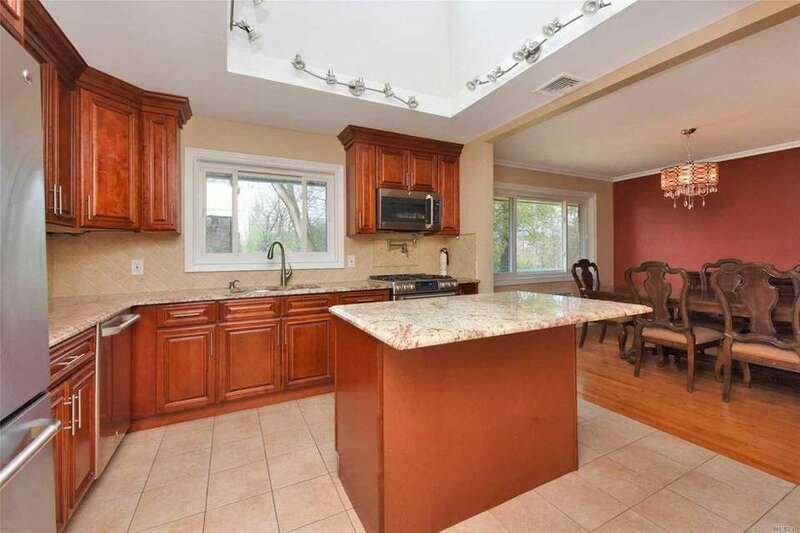 The gourmet kitchen, with granite countertops, is open to a family room. 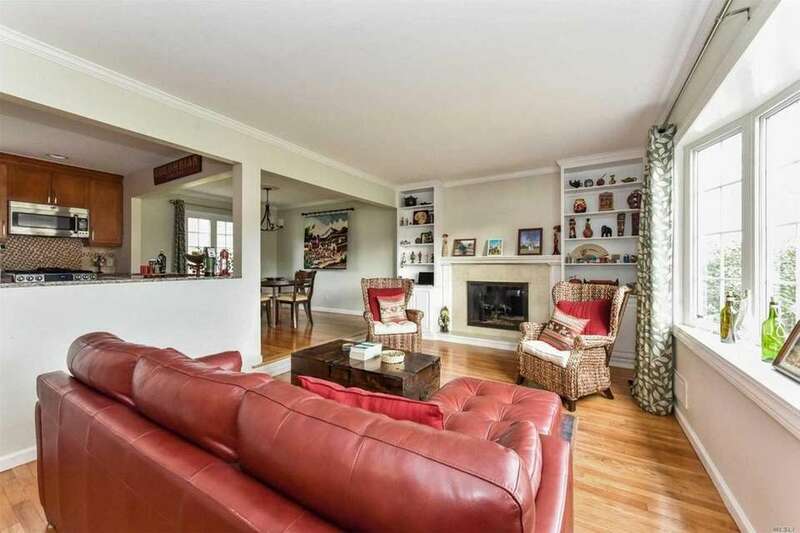 The living room, open to the dining area, features built-in shelving and wood flooring. 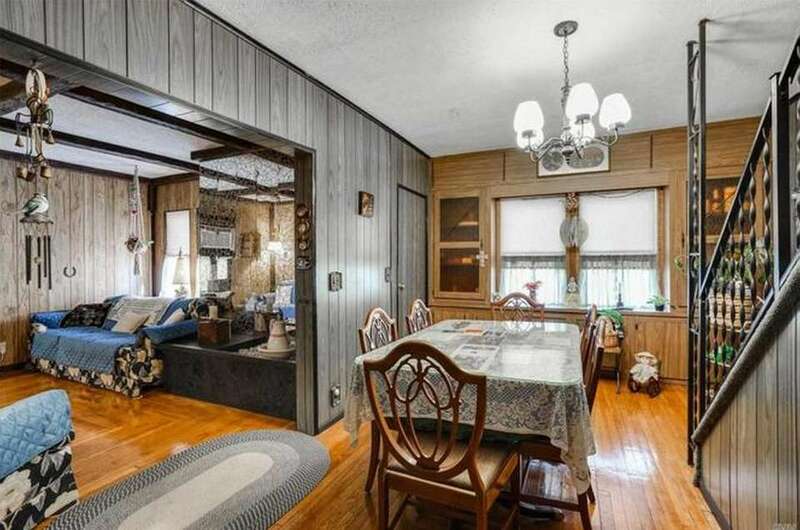 The house includes a living room with a fireplace and an eat-in kitchen with sliders. 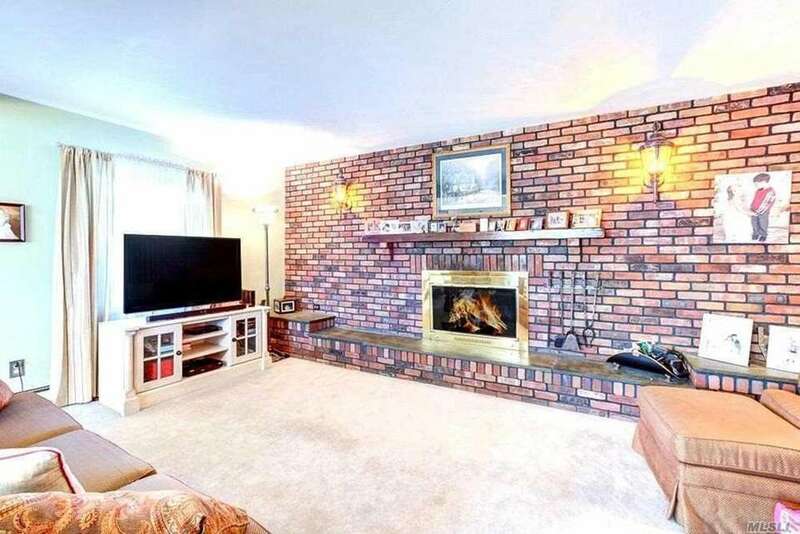 The living room features a full brick wall fireplace. 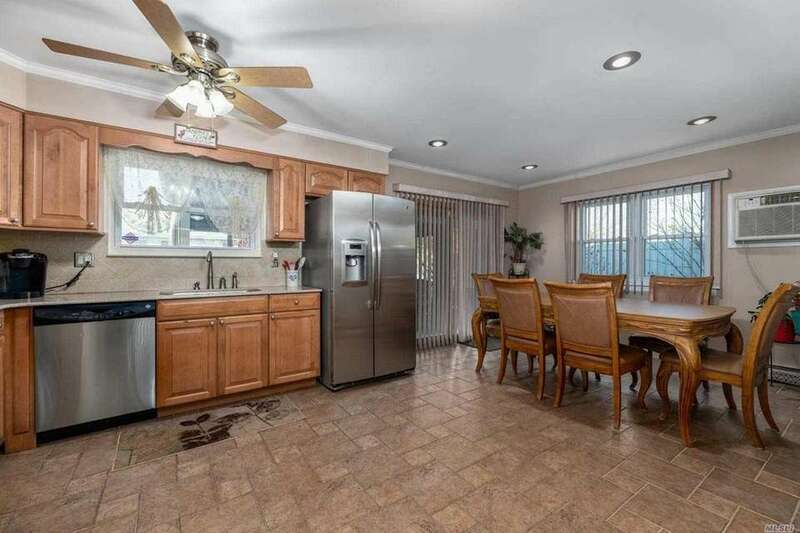 Sliding glass doors off the dining area open to a paver patio with views of a pond. 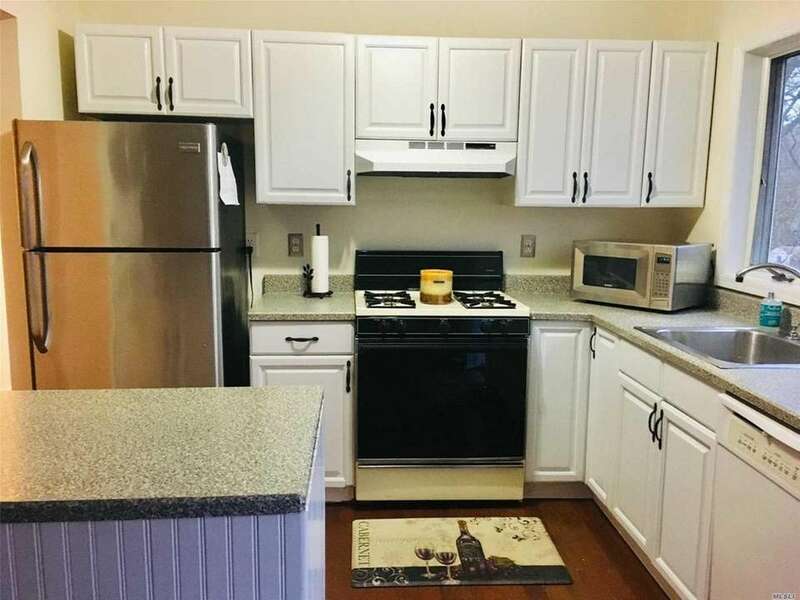 The kitchen, open to the dining and family rooms, features stainless steel appliances, granite countertops and a wine fridge. 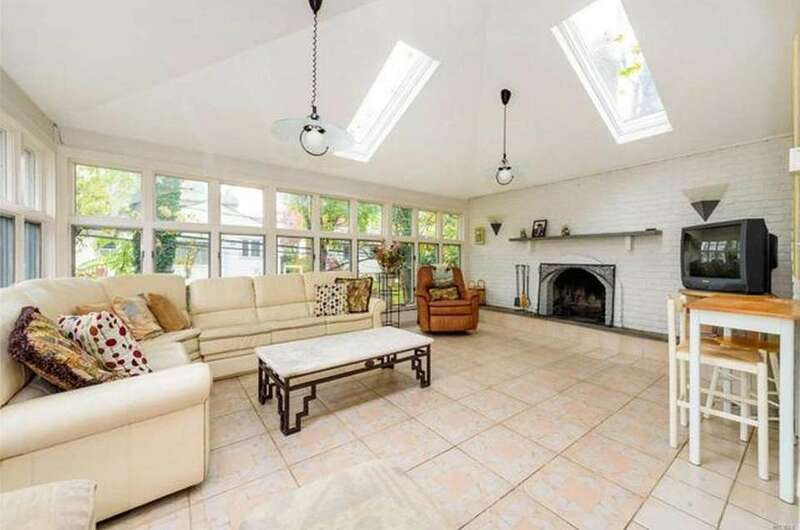 The living room features hardwood floors and a vaulted ceiling with skylights. 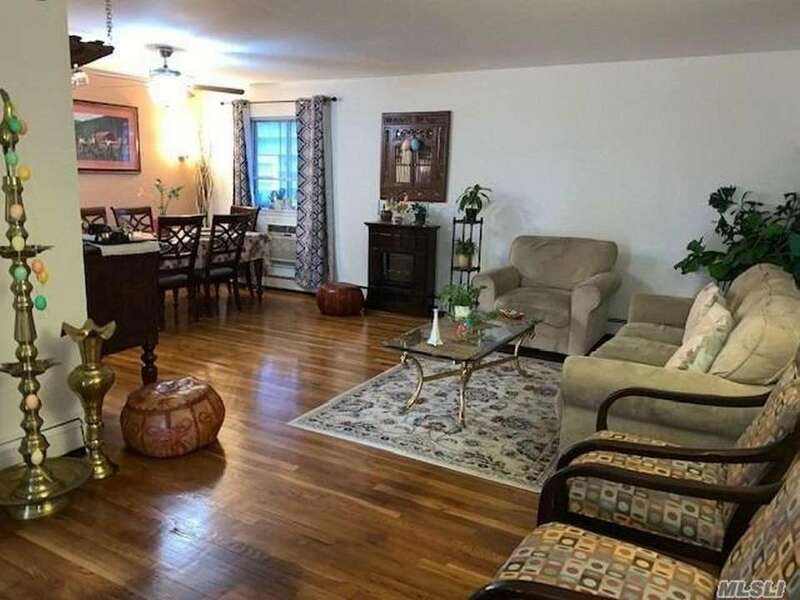 The house features a living room, dining area and kitchen. 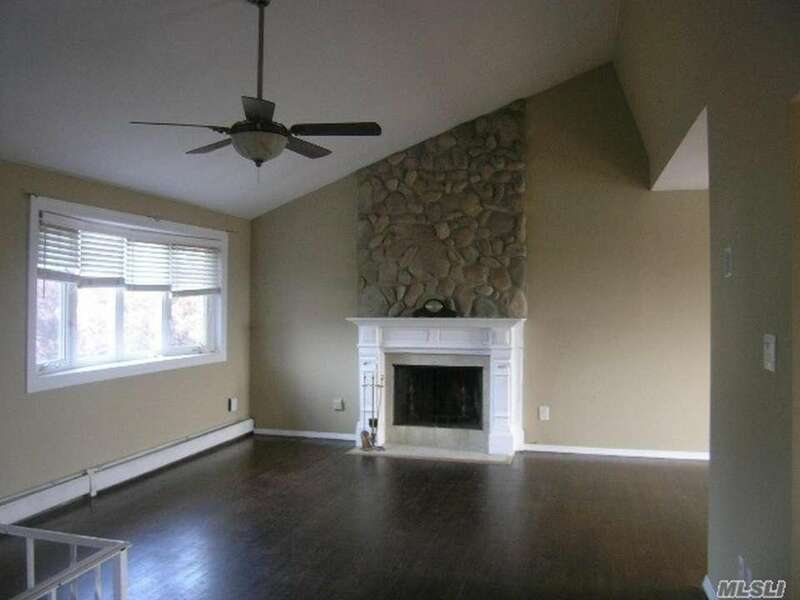 The den features vaulted ceilings, a walls of windows, and a fireplace. 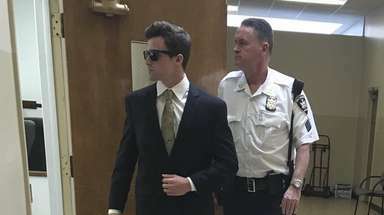 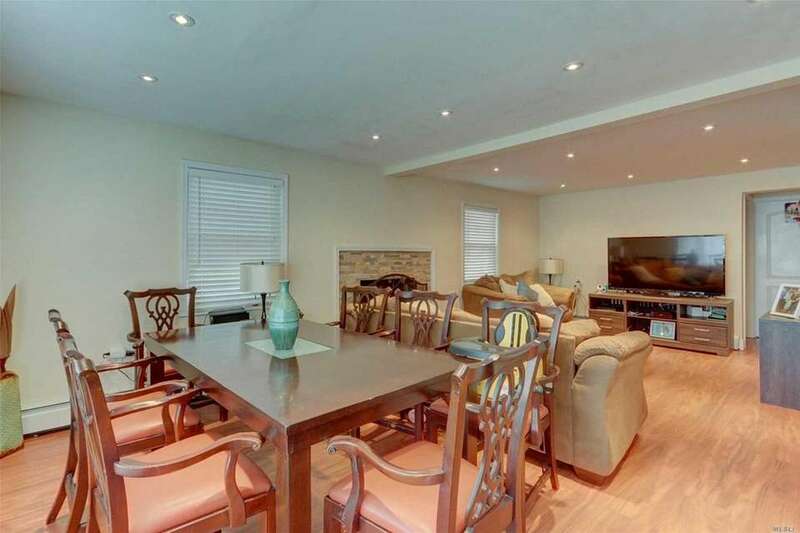 The house includes an eat-in kitchen, living room, dining room, and walk-out basement with 10-foot ceilings. 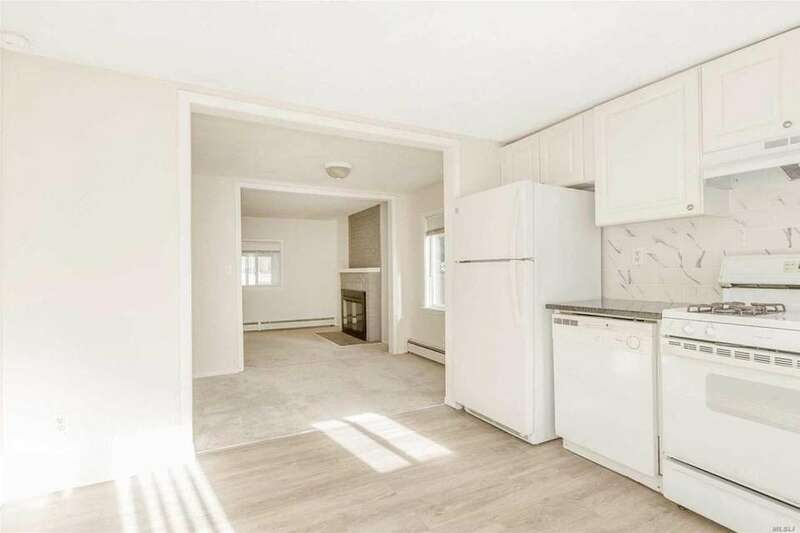 The main level includes living and dining rooms, an eat-in kitchen and a family room with a gas fireplace. 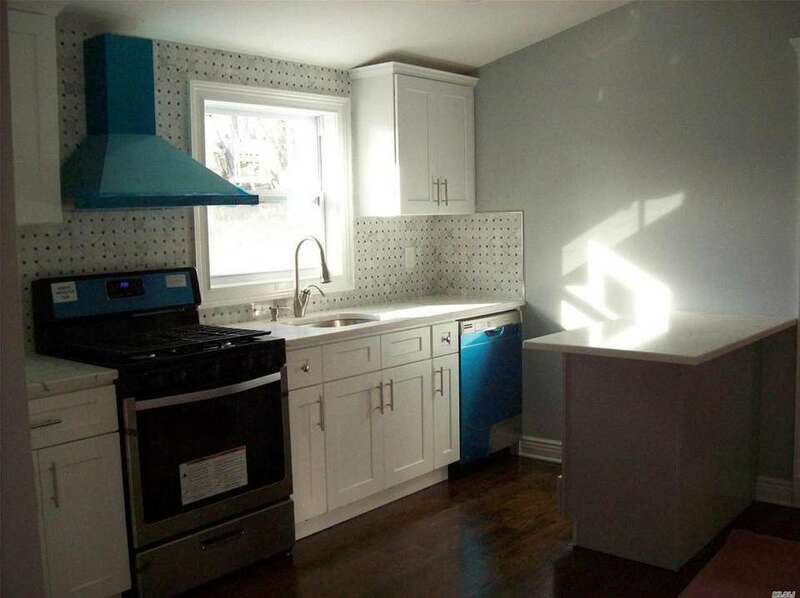 The eat-in kitchen features a center island, stainless steel appliances and a mosaic backsplash. 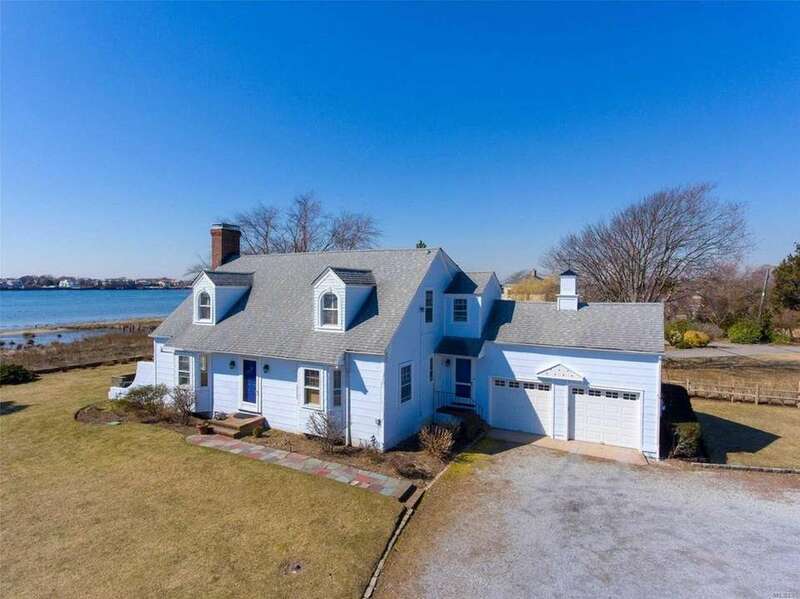 Photo Credit: Coast Realty Inc. 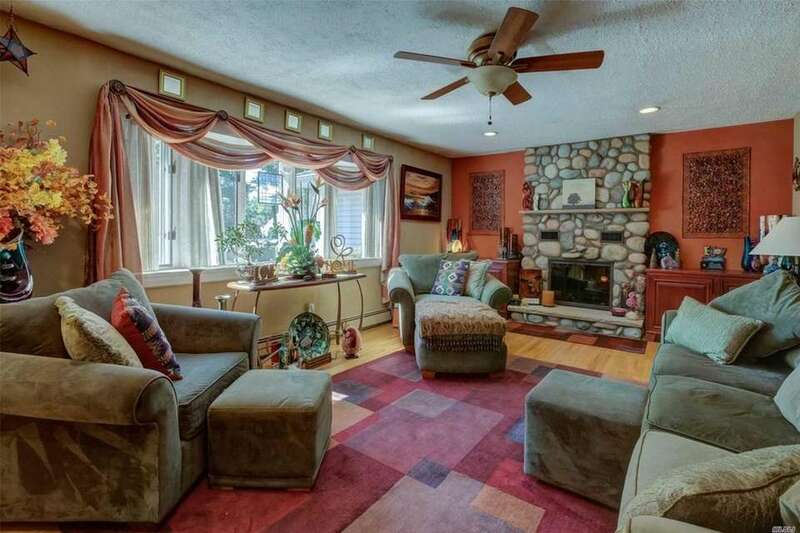 The living room features cathedral ceilings and a fireplace. 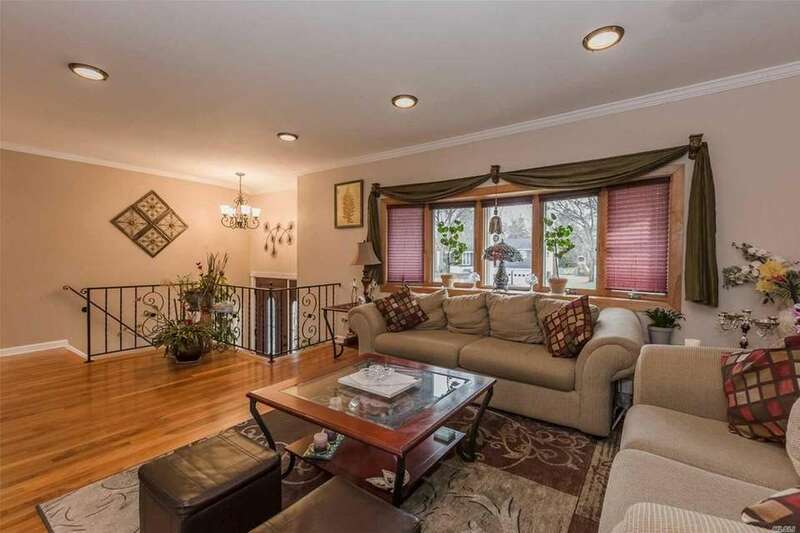 The living room flows into the dining room and updated kitchen with granite countertops. 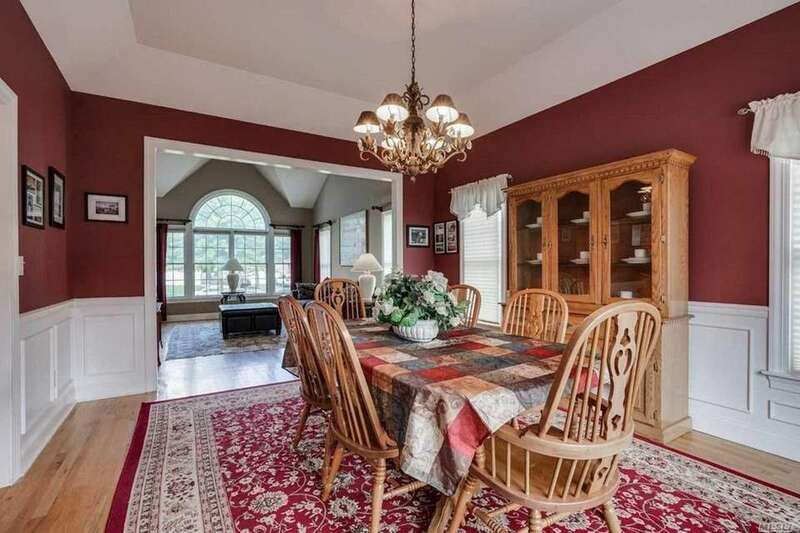 In addition to an updated eat-in kitchen, the house features a formal dining room. 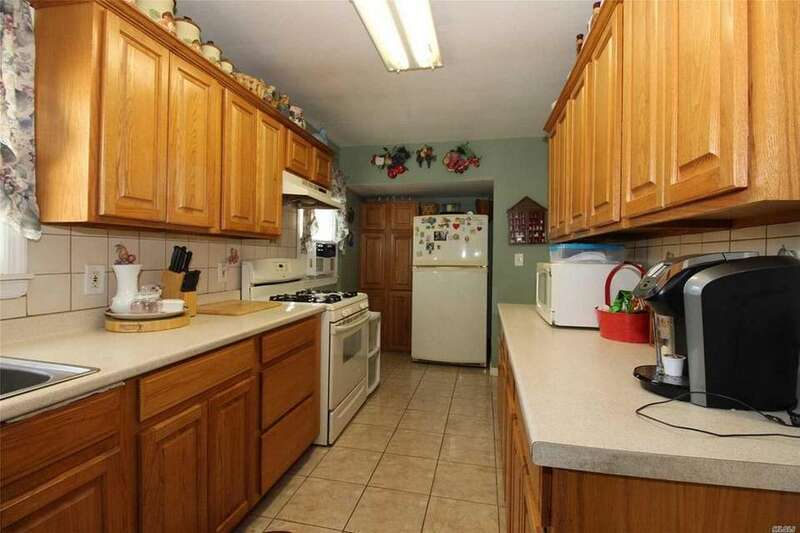 The kitchen, which includes a center island and stainless steel appliances, is open to the family room. 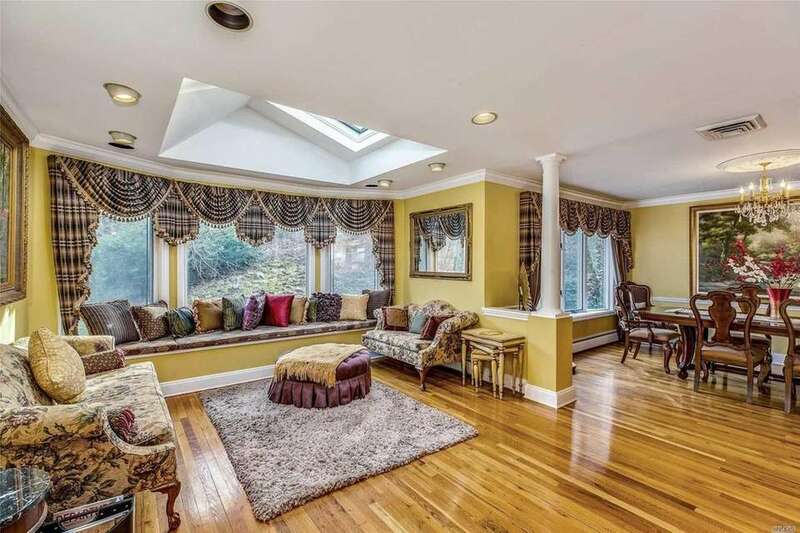 The dormered Cape includes a living room plus a den featuring vaulted ceilings with skylights. 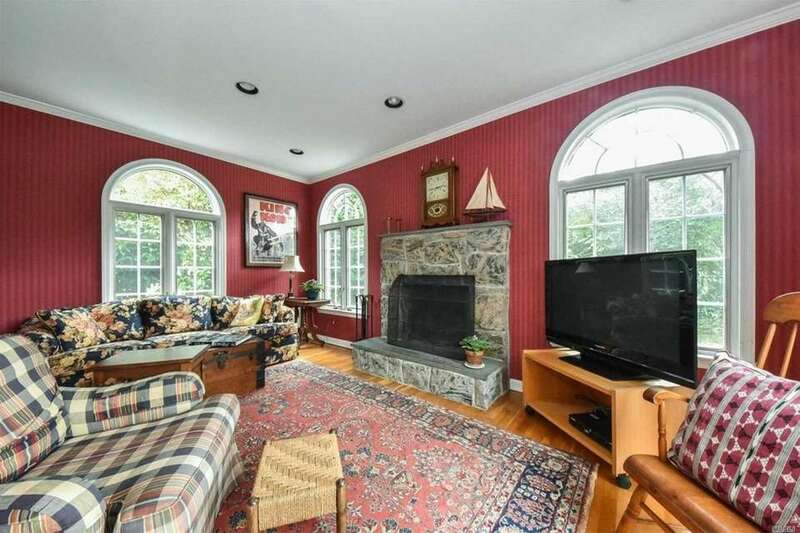 French doors open to the living room, which includes one of the home's two fireplaces. 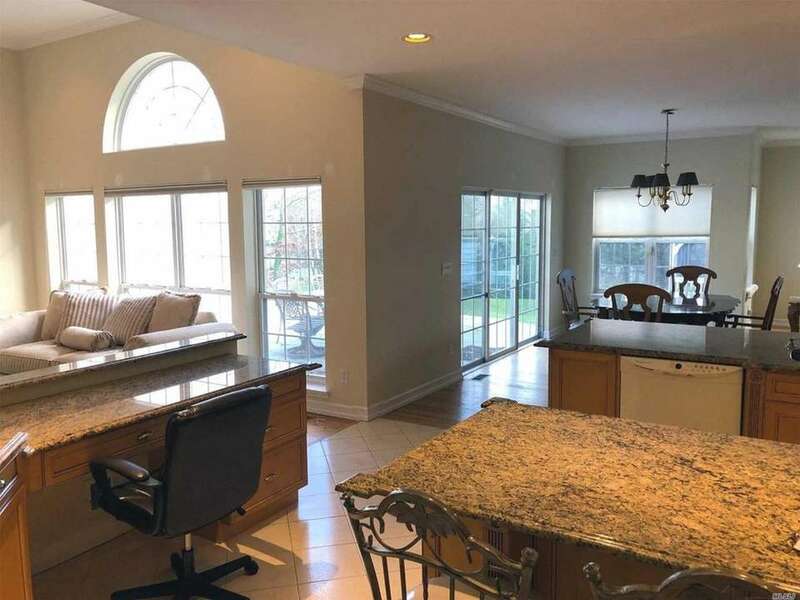 The main level includes the living room, dining room and eat-in kitchen. 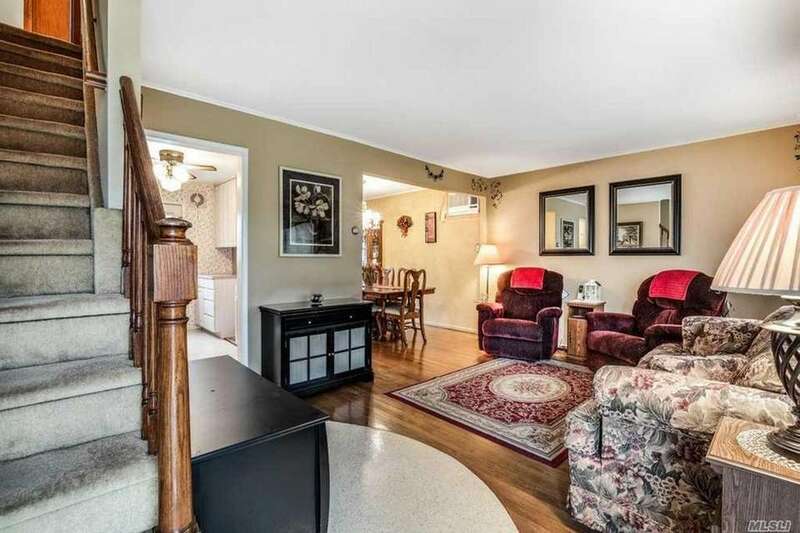 An entry foyer leads into the living room, which was hardwood floors. 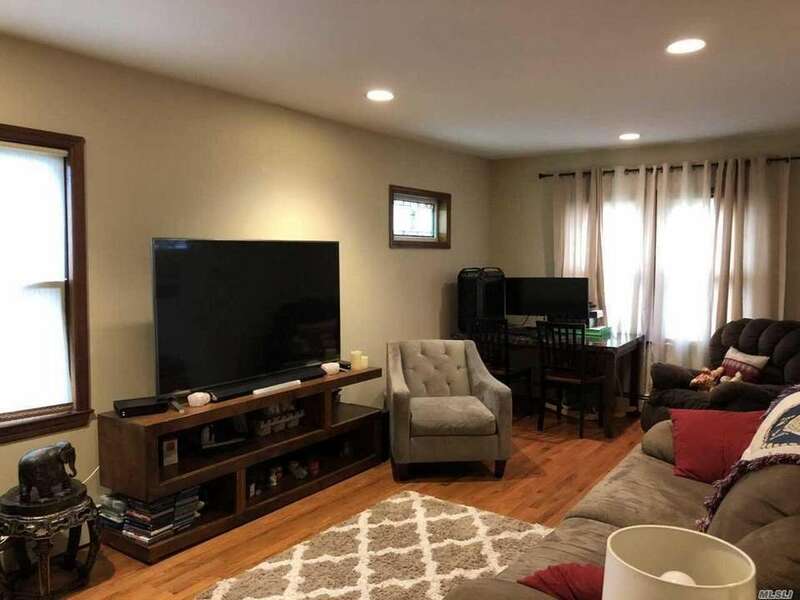 In addition to the living room, kitchen and dining room on the main level, there is also a family room on the lower level. 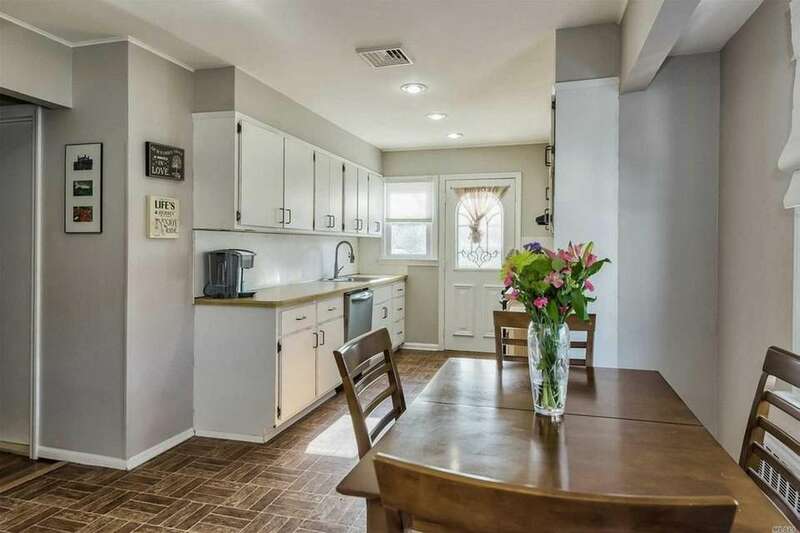 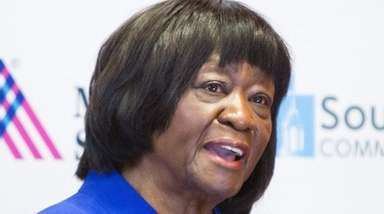 The renovated home includes an L-shaped living and dining area and a brand new kitchen with stainless steel appliances. 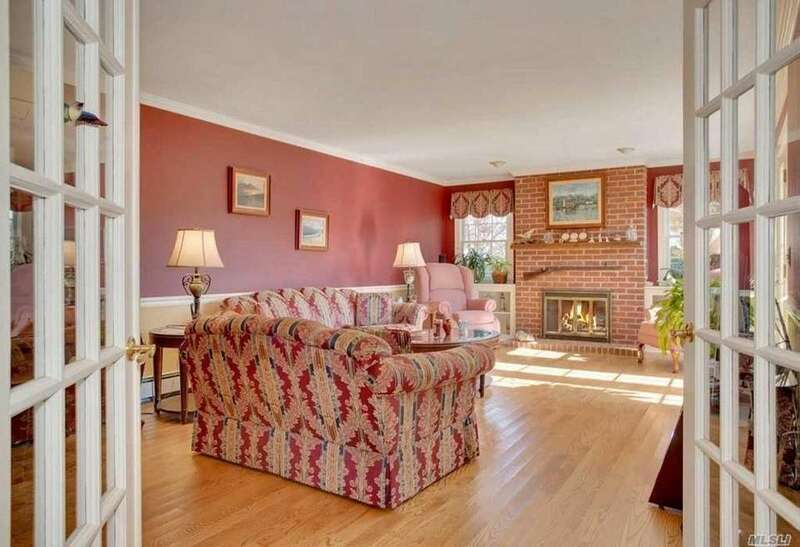 The home features a living room with a fireplace, a granite kitchen, dining room and den. 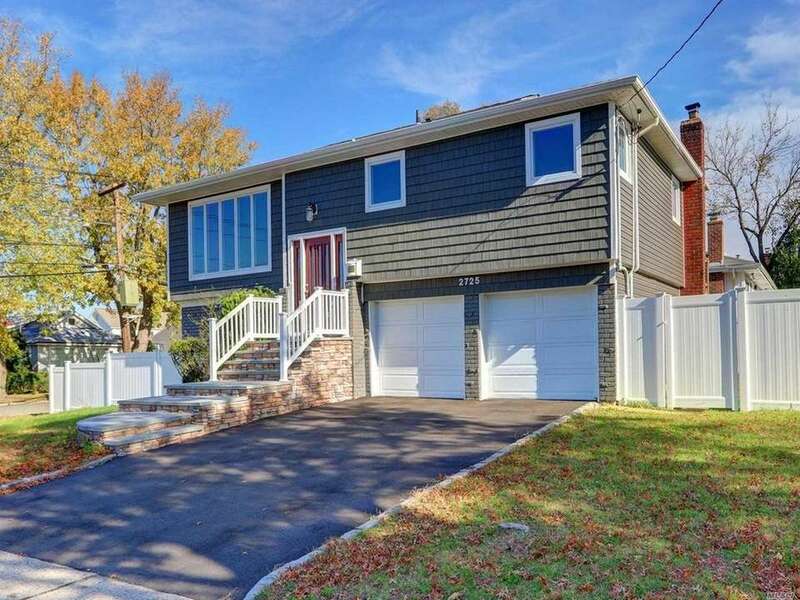 Features include a kitchen with silestone countertops, a partially finished basement and a 16-by-36-foot freeform in-ground pool. 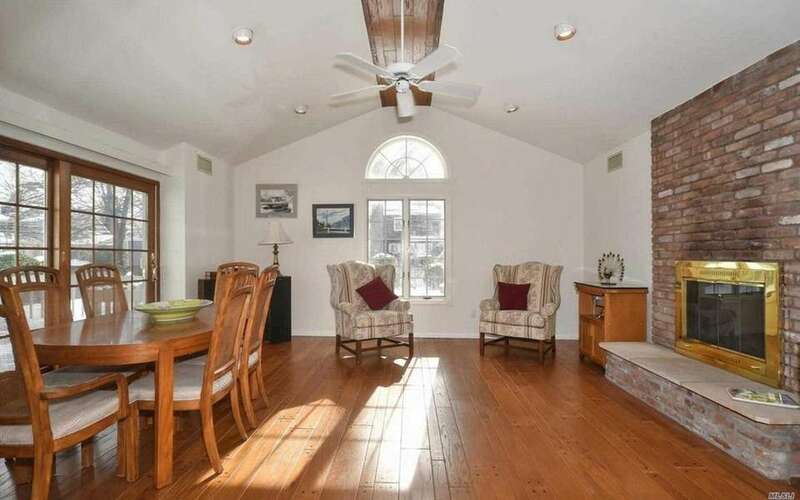 The living room, featuring a fireplace, opens to a dining room and chef's kitchen with vaulted ceilings and skylights. 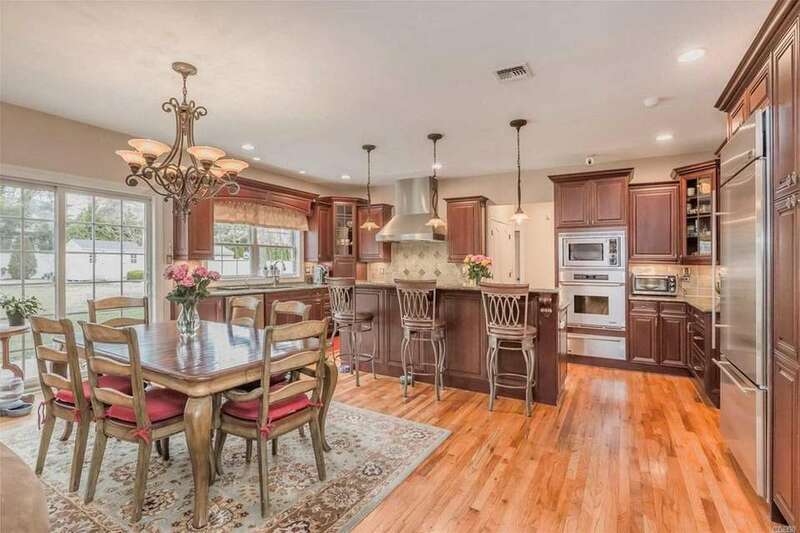 The formal living room flows into a kitchen with oak cabinetry. 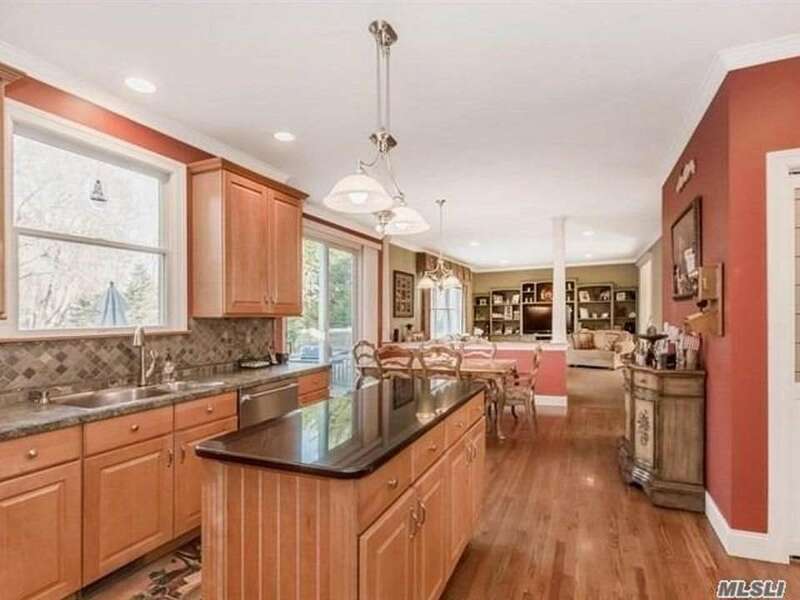 The house features an eat-in kitchen and formal living and dining rooms.